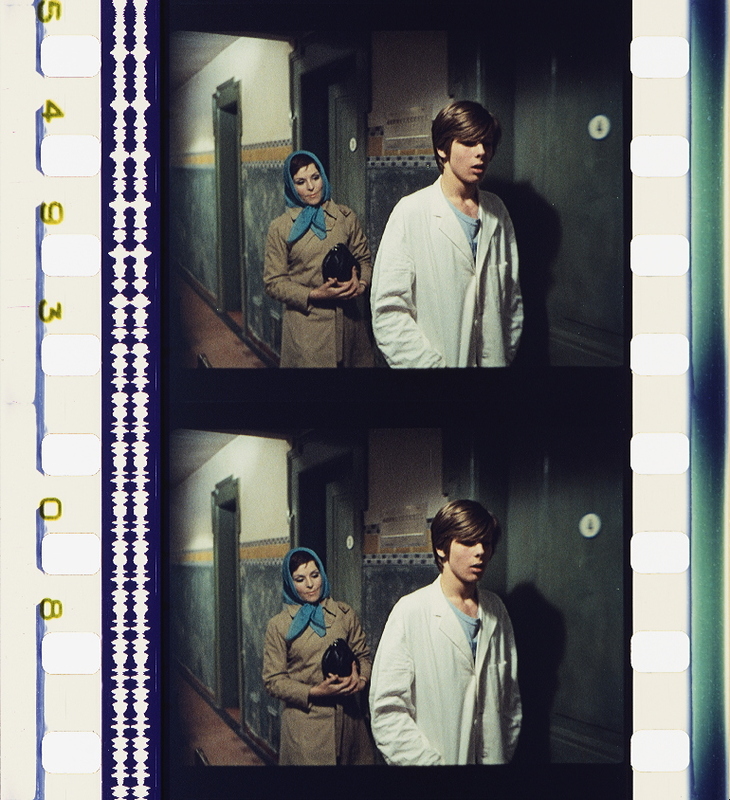 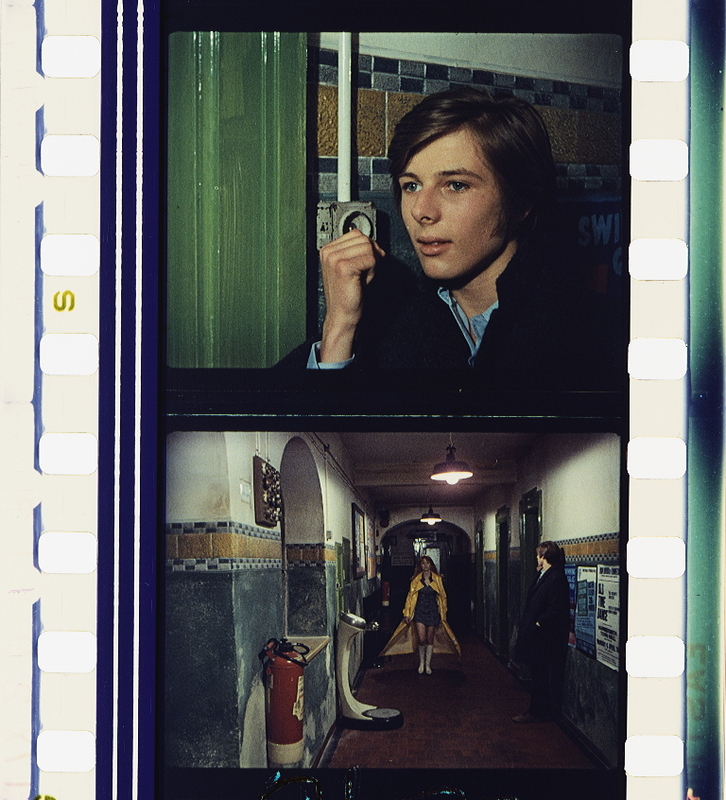 Deep End (GBR / GER / BDR 1970, Jerzy Skolimowski). 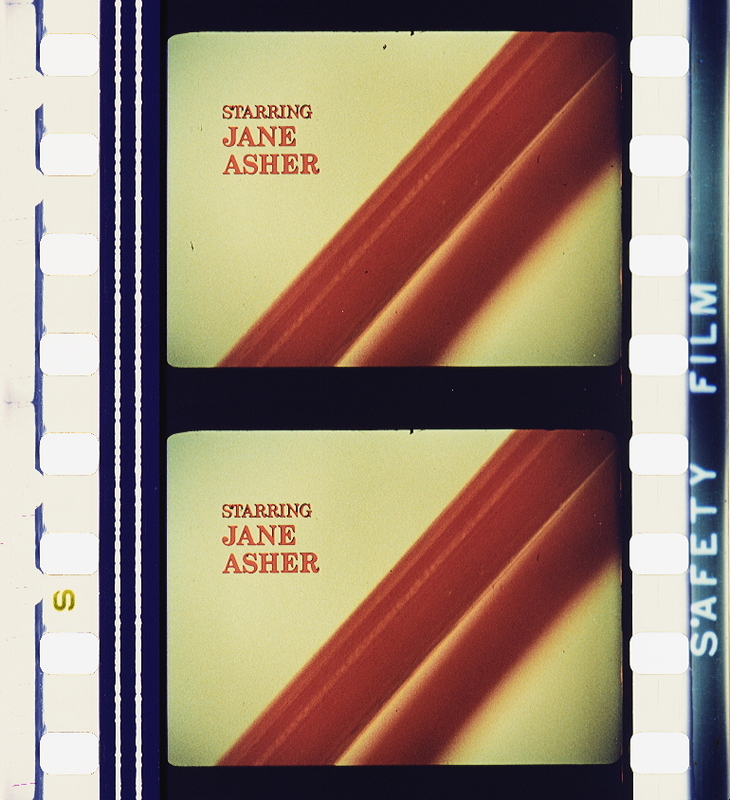 Credit: BFI National Film Archive. 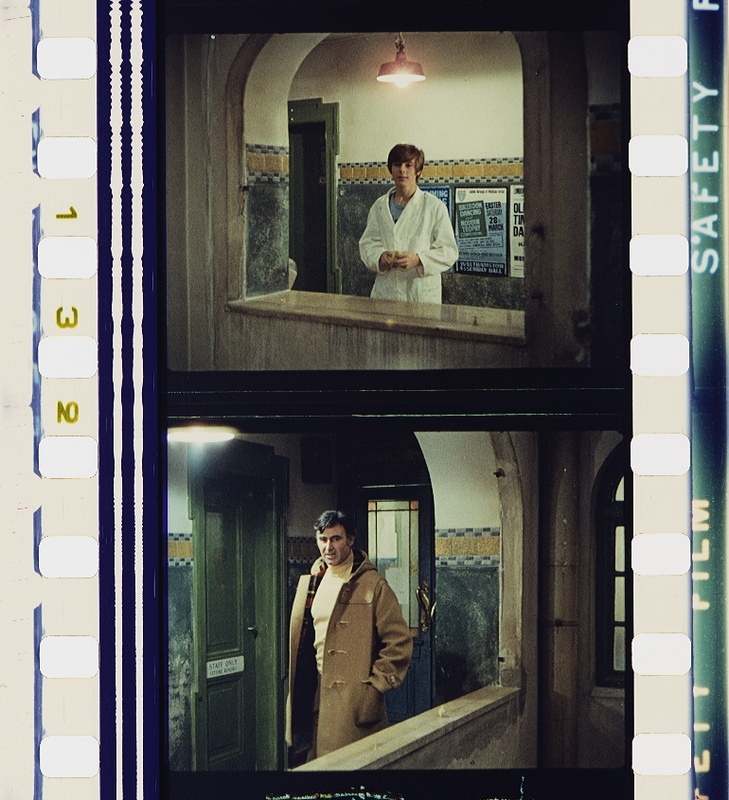 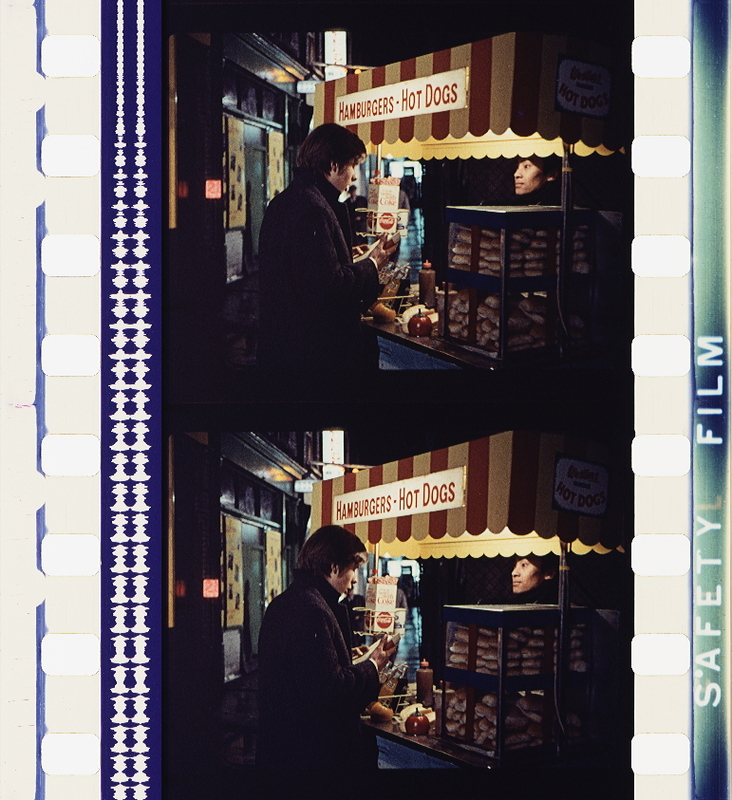 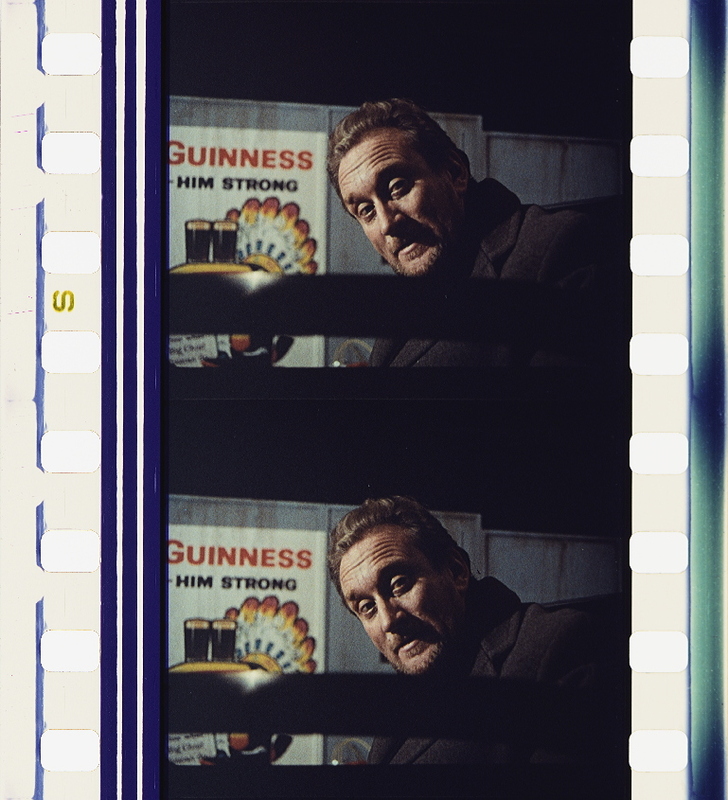 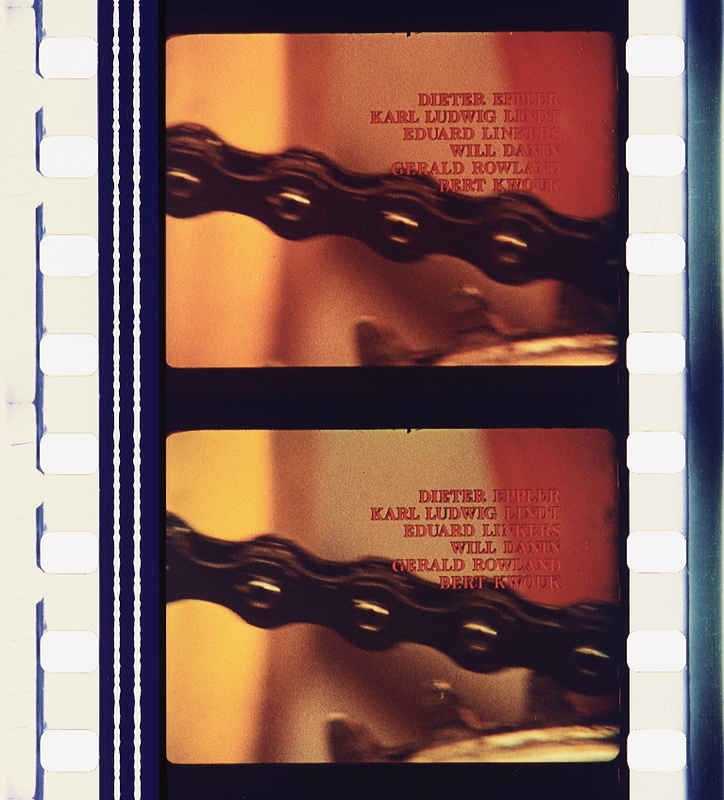 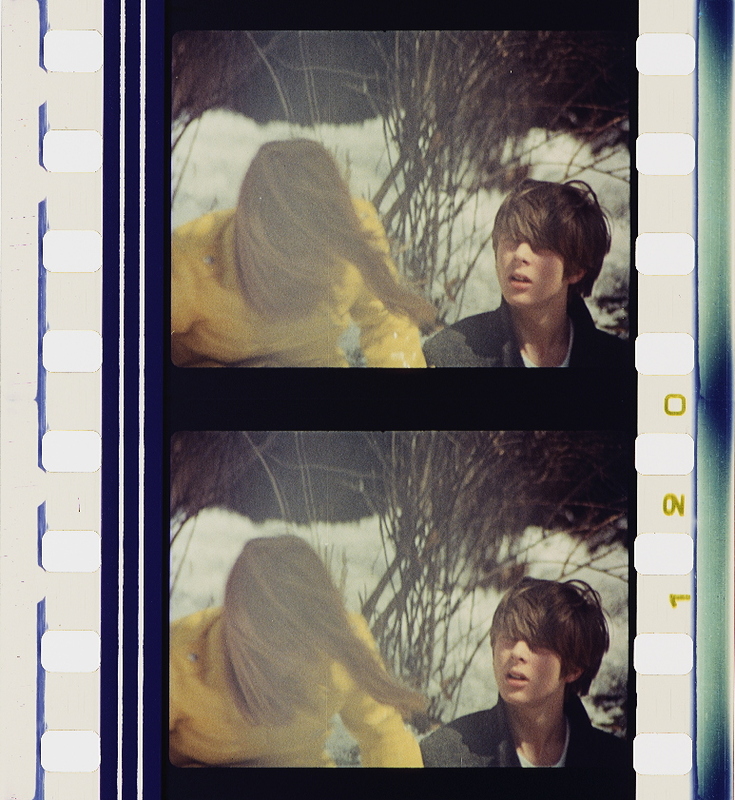 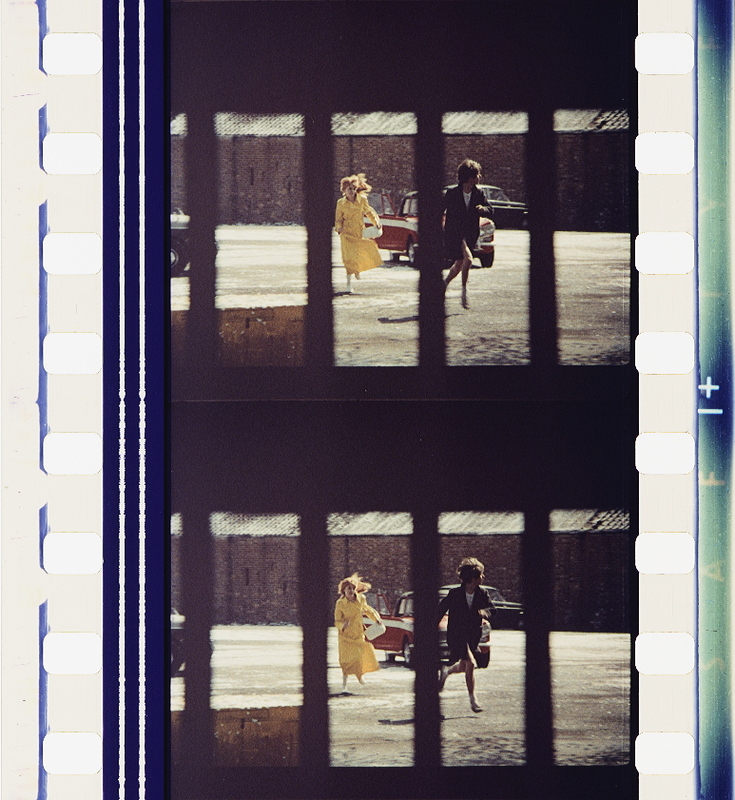 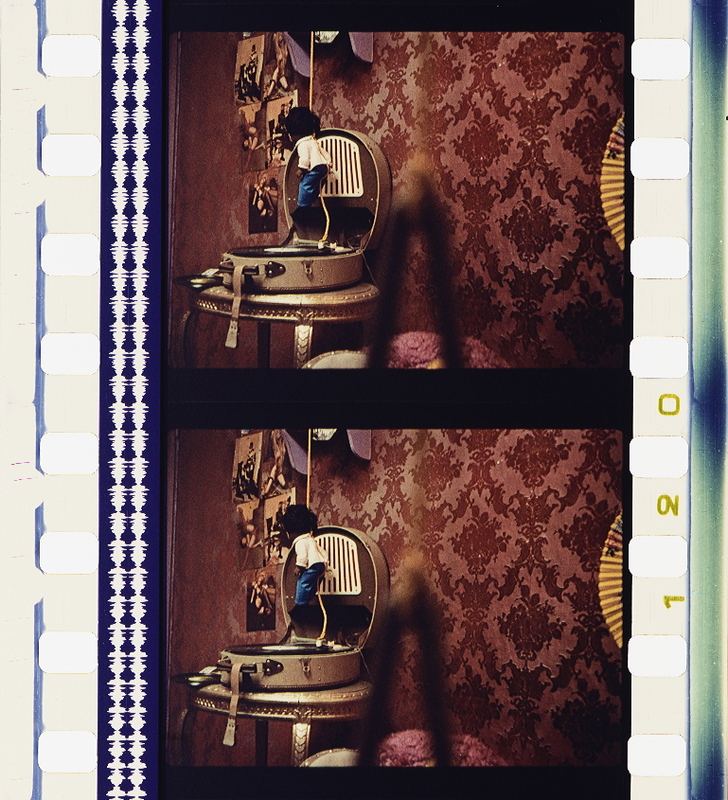 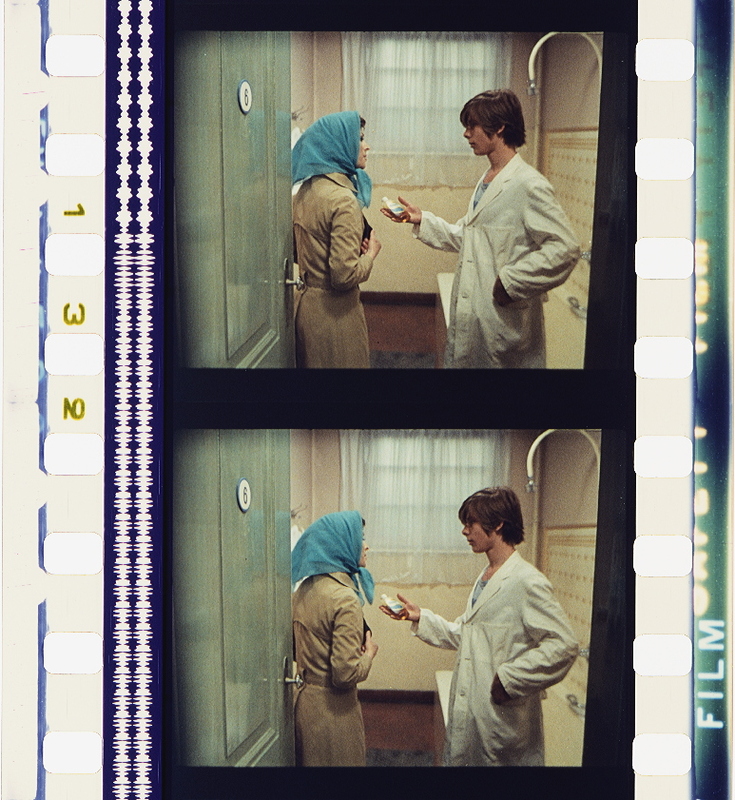 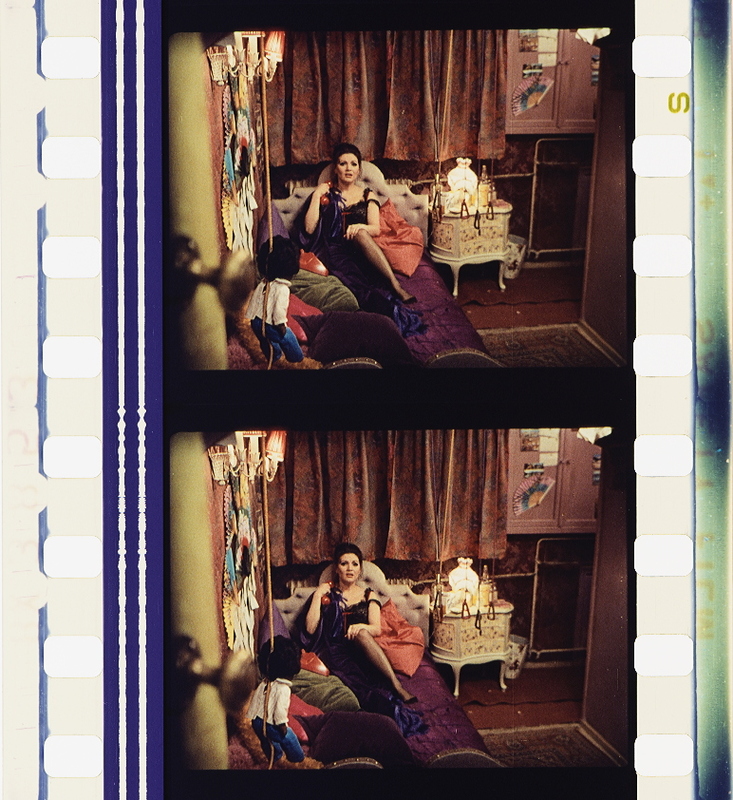 Photographs of the safety print by Joëlle Kost, ERC Advanced Grant FilmColors. 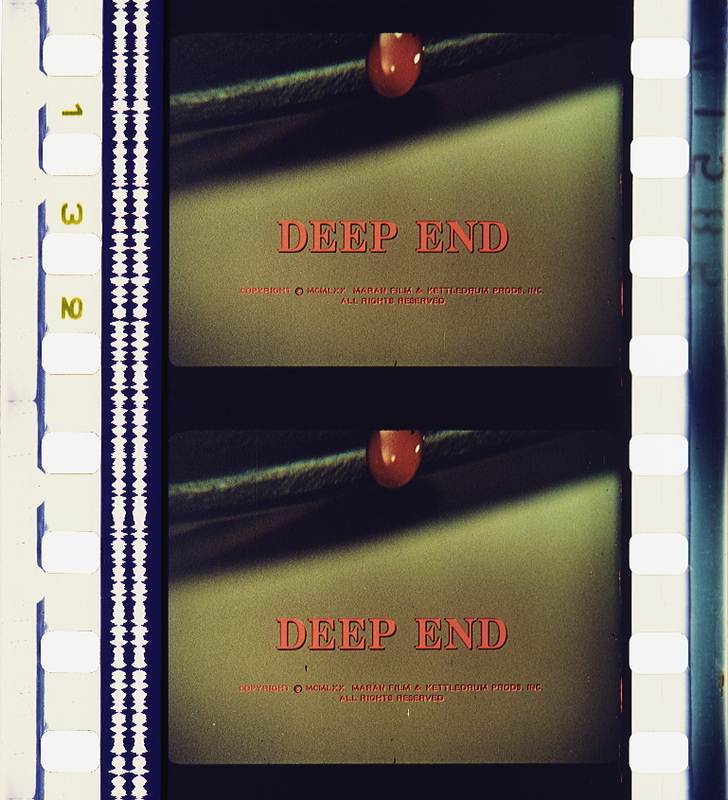 Deep End (GBR / GER / BDR 1970, Jerzy Skolimowski). 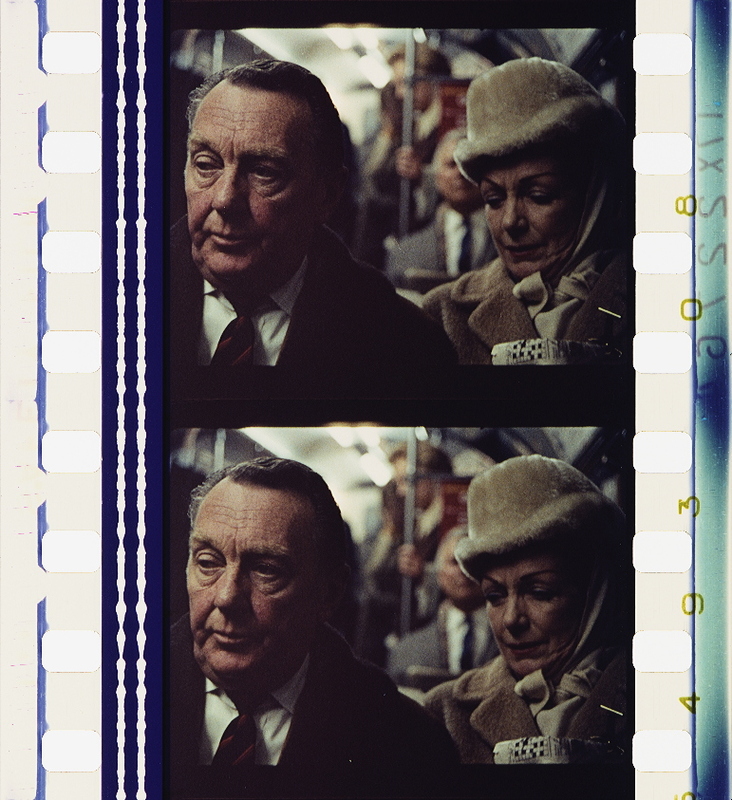 Credit: BFI National Film Archive. 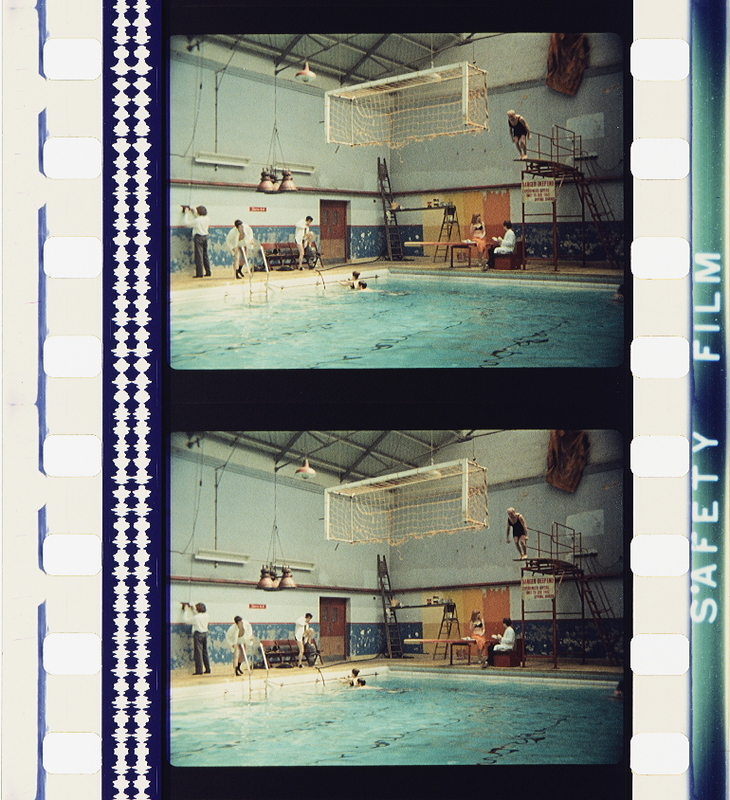 Photographs of the safety print by Joëlle Kost, ERC Advanced Grant FilmColors. 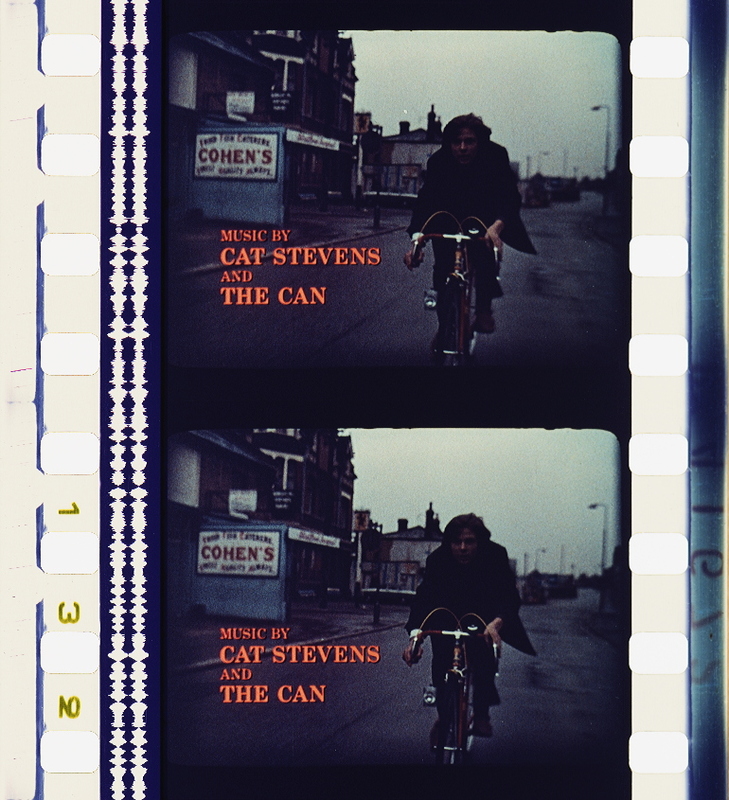 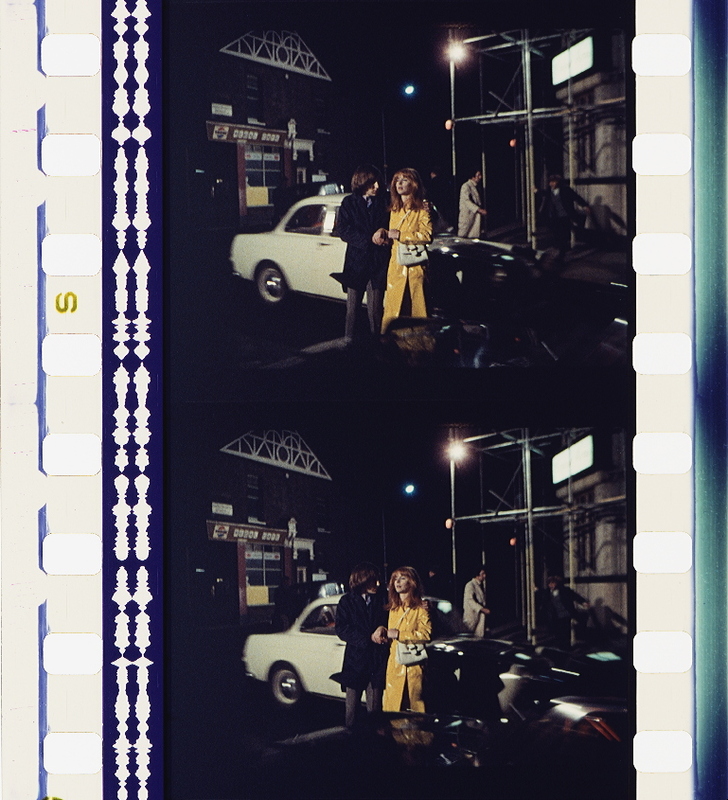 “Textual analyses contemporaneous with each release have tended to refer to colour as a consistent and important element of the film. 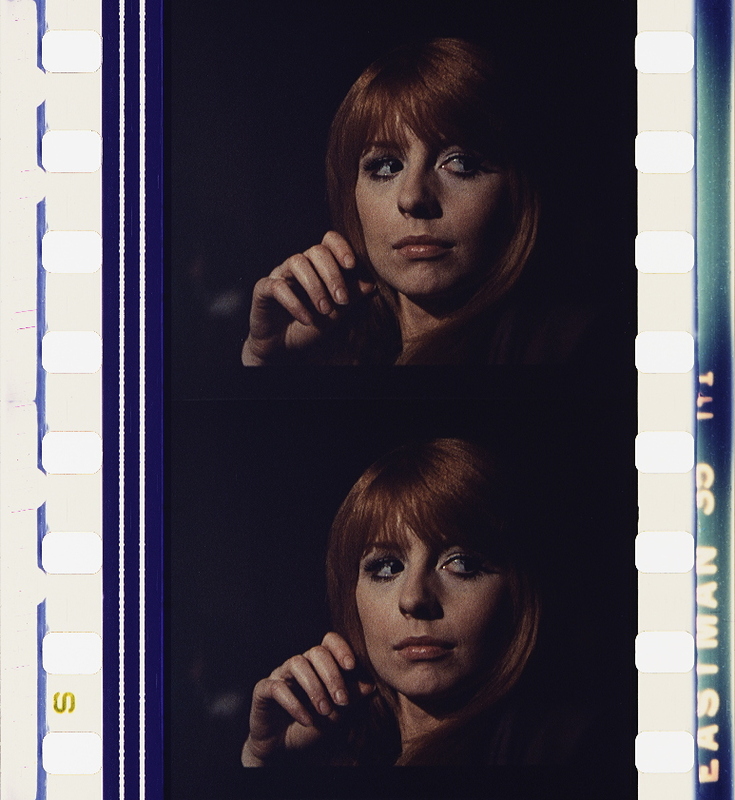 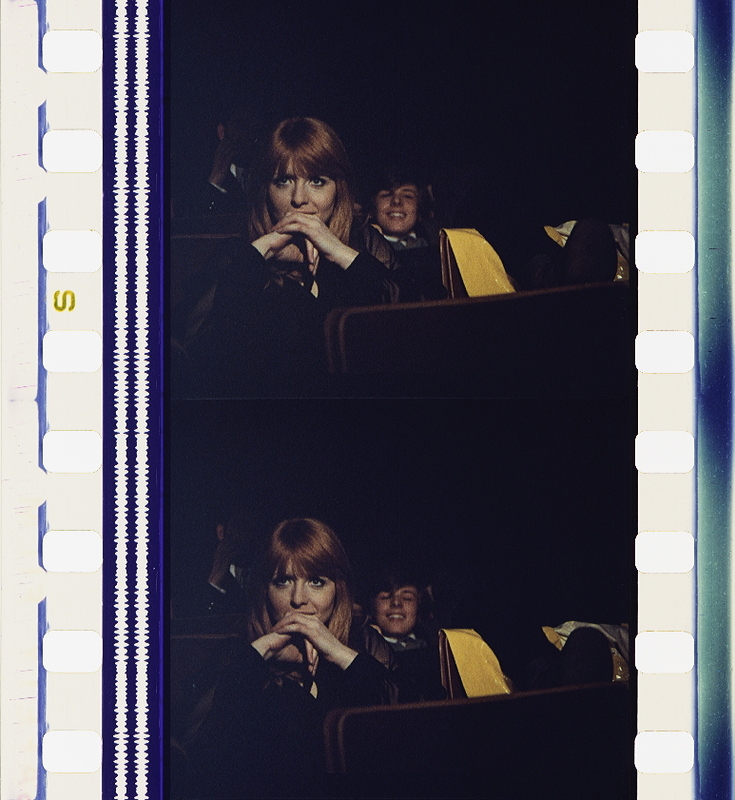 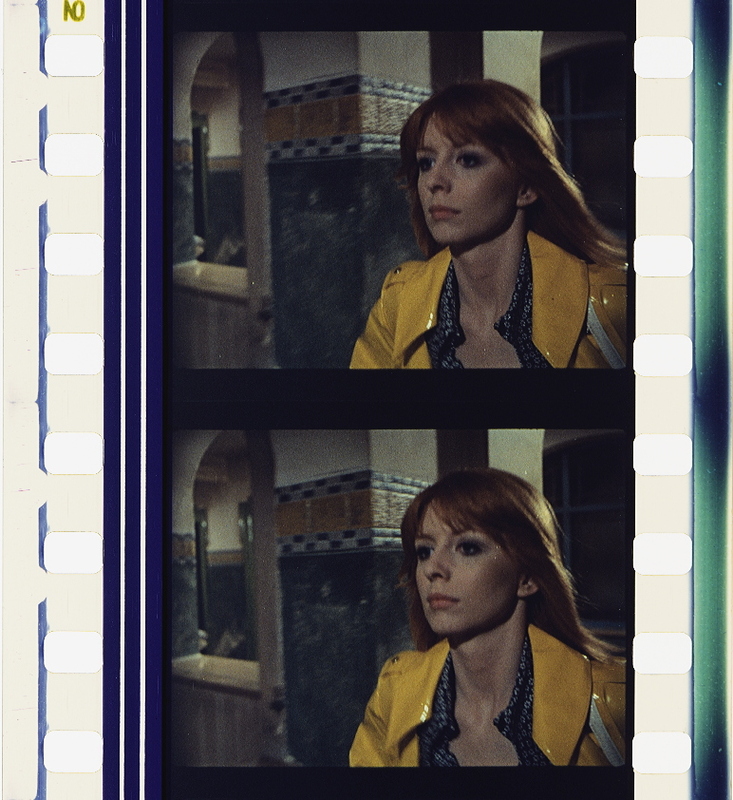 However, the shifts in image resolution that can be perceived across a series of releases of Don’t Look Now when viewed on different formats affect the way in which instances of the colour red are situated in the film. 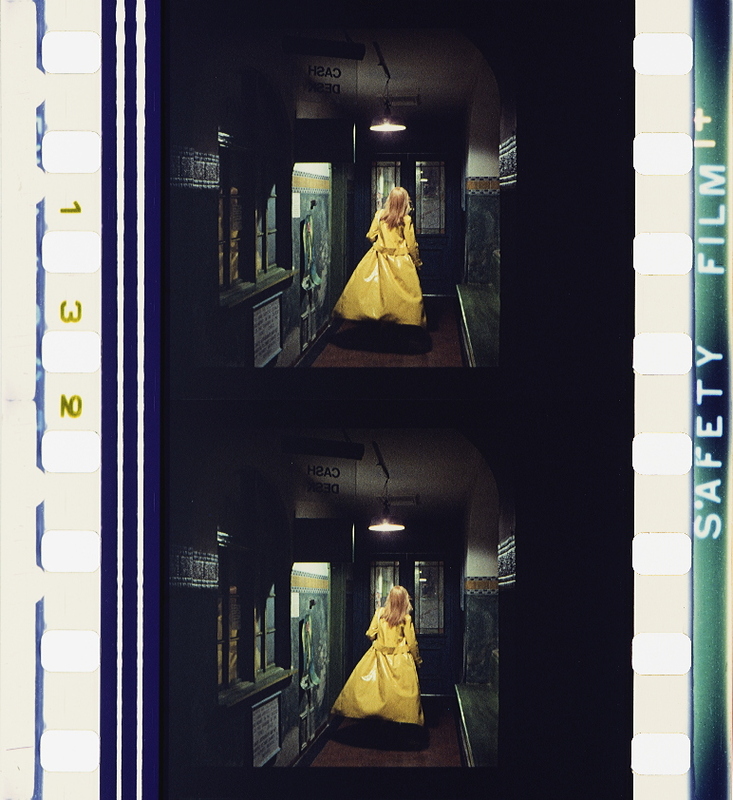 Red is used to solicit the spectator’s attention to objects that are of particular significance to the narrative, such as the young girl’s raincoat that establishes a visual link with the image of a murderer dressed in a similar hue. 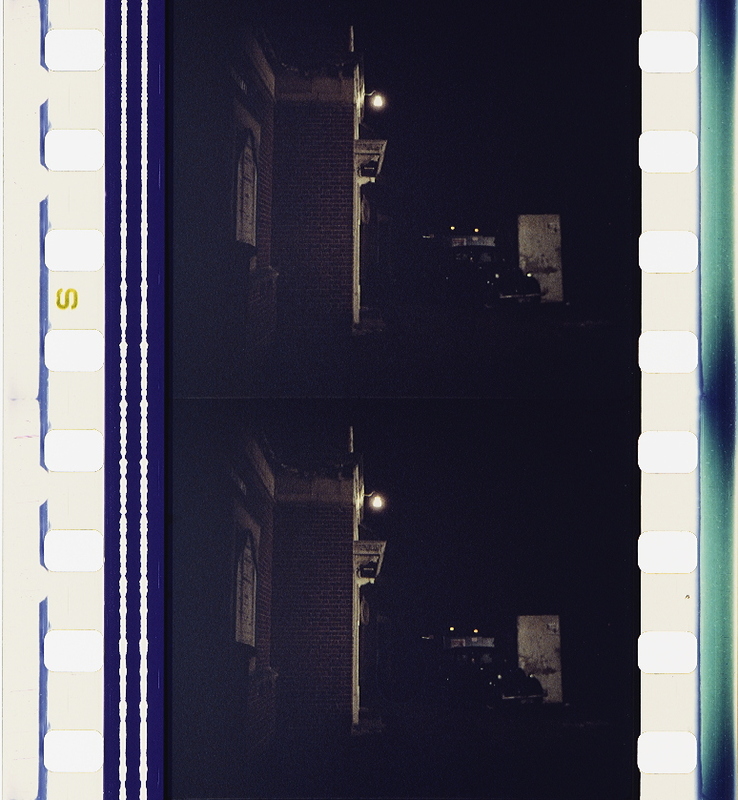 In addition, the reflexivity of glare in the mise-en-scene and instances of lens flare obfuscate the viewer’s perception of the image. 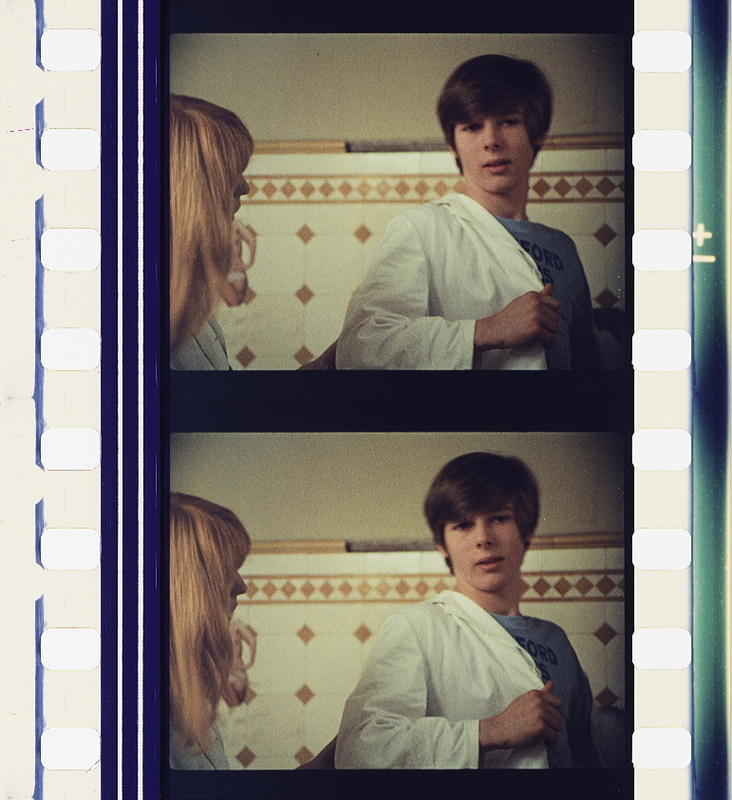 Don’t Look Now tracks the journey of John and Laura Baxter to Venice, following the drowning of their daughter Christine. 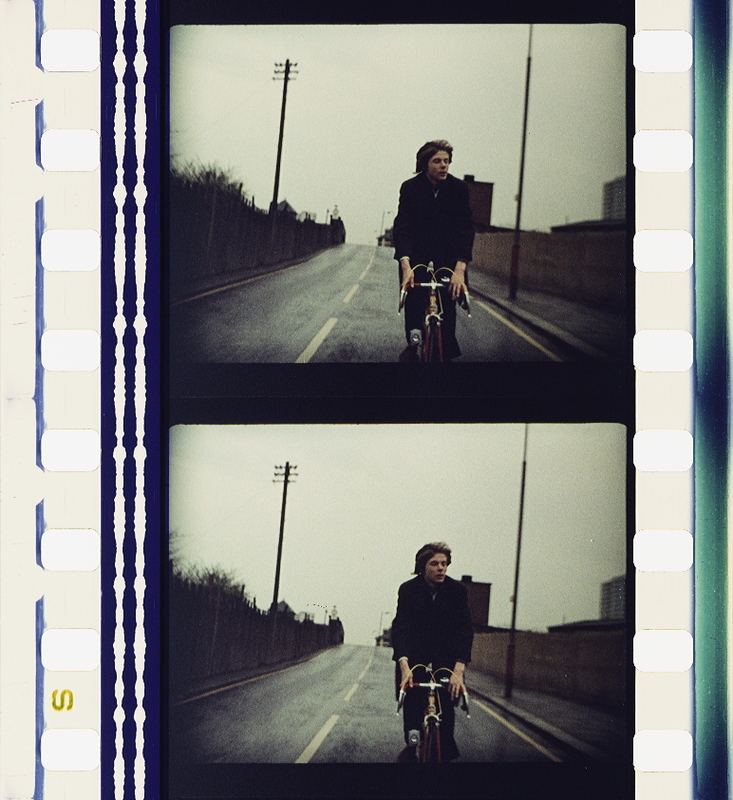 Their desires and sense of loss are manifest in their persistent misrecognition of a figure that haunts the alleyways and canals of the city, whose appearance echoes that of their drowned child. 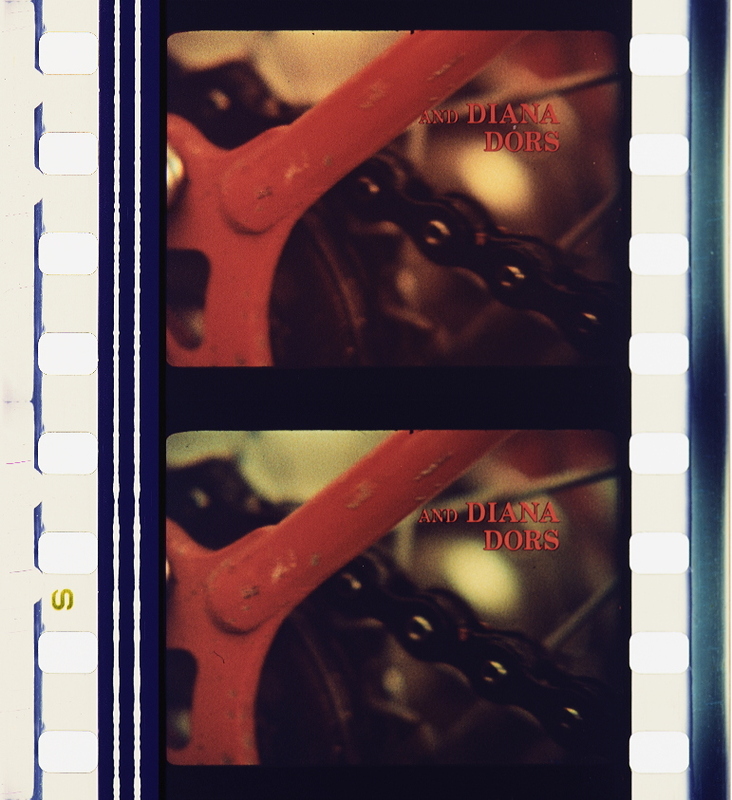 Images that are encountered in the opening sequence and associated with her death recur throughout the film. 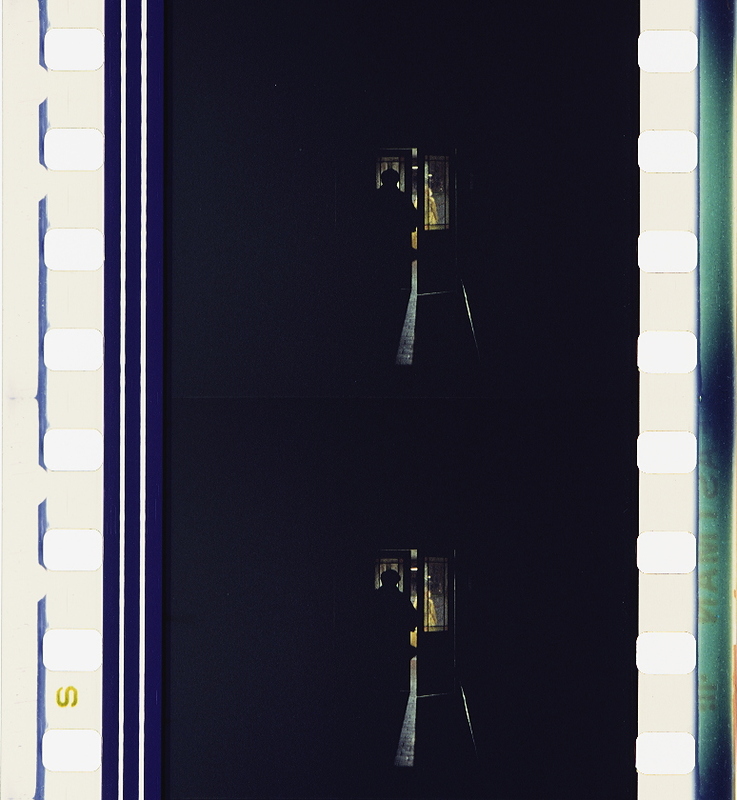 The film crosscuts shots of John and Laura as they examine images of a church interior on a light box with those of their two children playing by a lake. 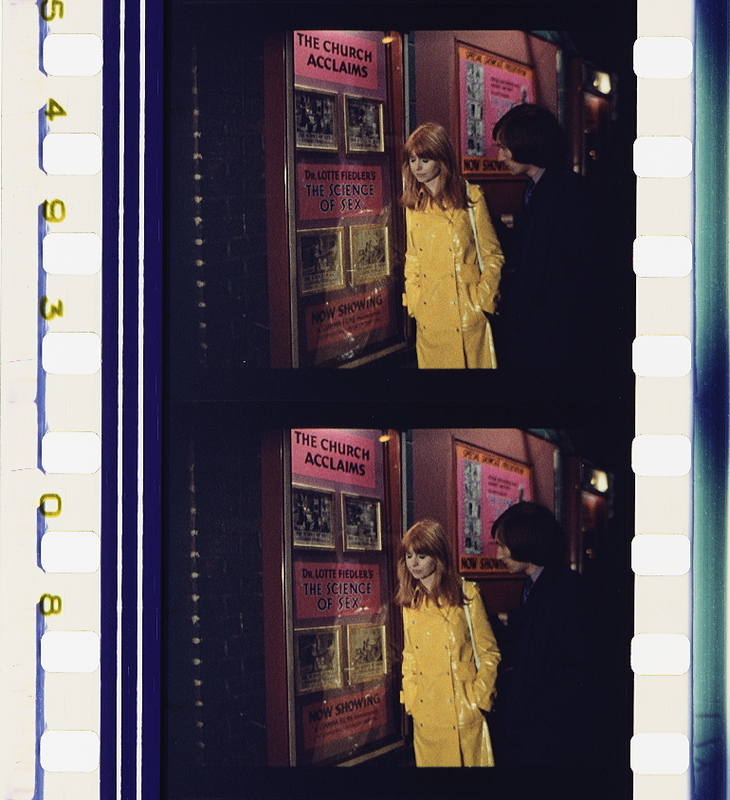 The fleck of red that is visible in one of the images draws John’s attention to an unknown visitor wearing a hooded coat in the church; the scarlet colour of his daughter’s raincoat in the intercut shots marks a visual association that is refigured over the course of the film. 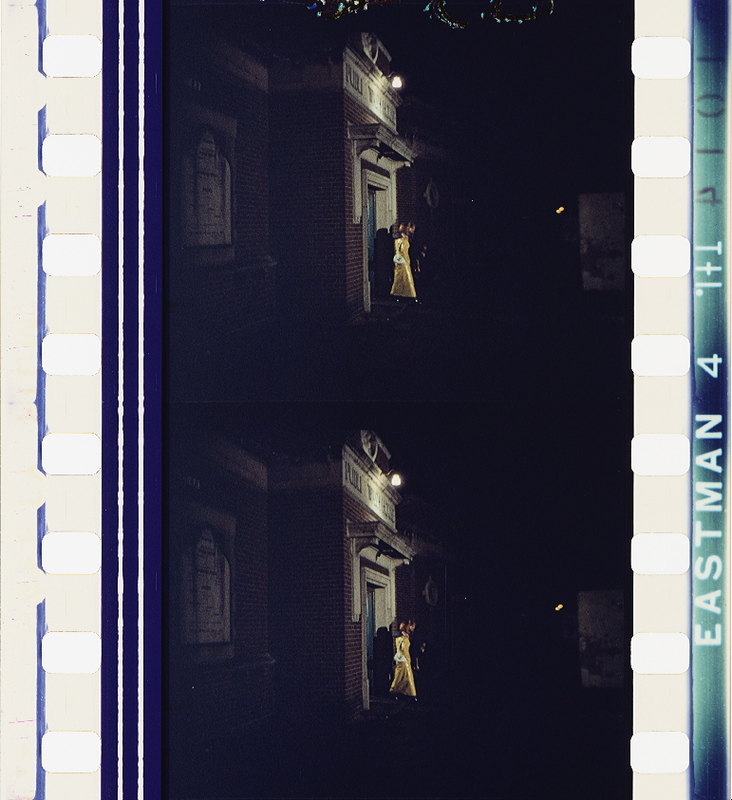 These initially prosaic connections are gradually disturbed, inferring a causative relationship between the image of the hooded figure and the child that can be traced through the colour red. 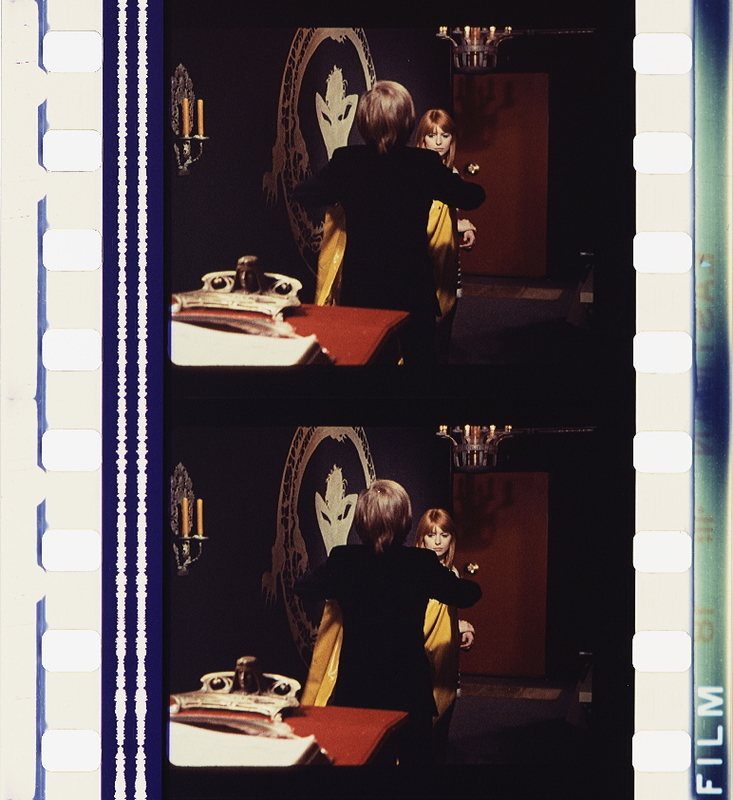 In Don’t Look Now the recurrence of the colour red, which is associated with the death of the child, is marked by intersecting threads of otherwise disparate imagery drawn together by the process of associative editing. 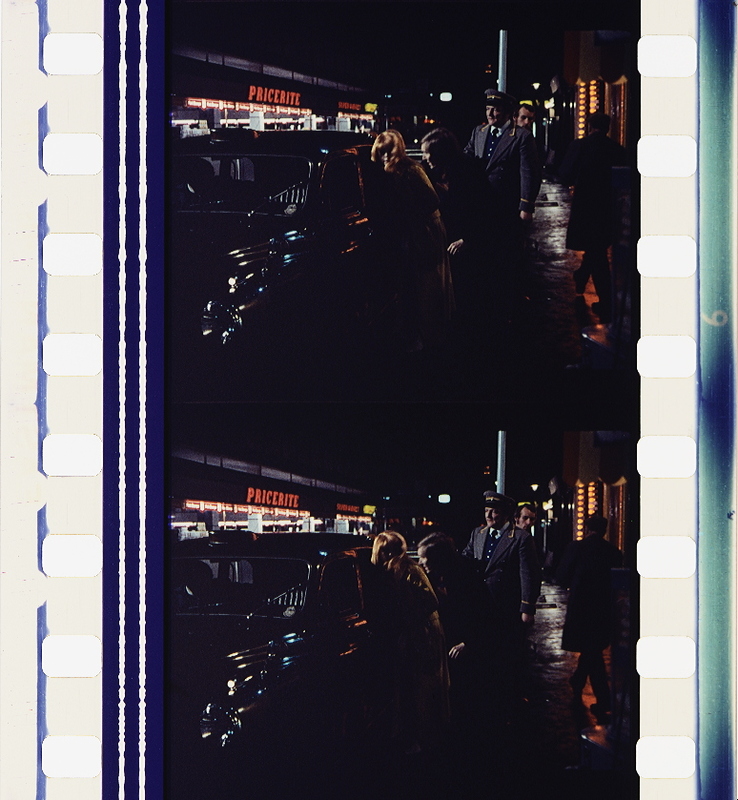 However, colour also operates at the limits of the film stock where instances of lens flare, as an excess of light, overexpose and efface details of the image. 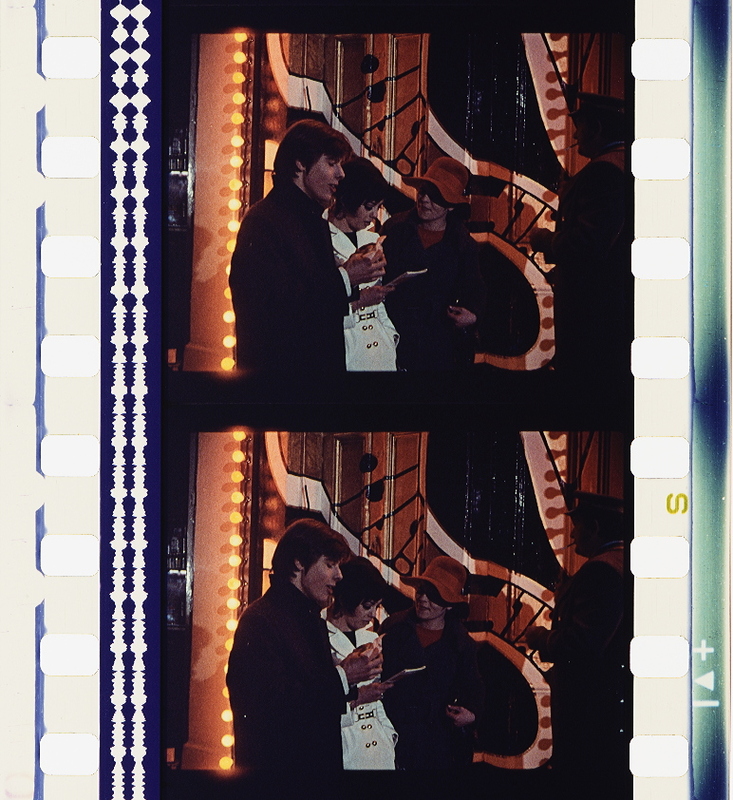 The happenstance of lens flare registers as a spatiotemporal coordinate of filming – of that camera, at that time, in that place. 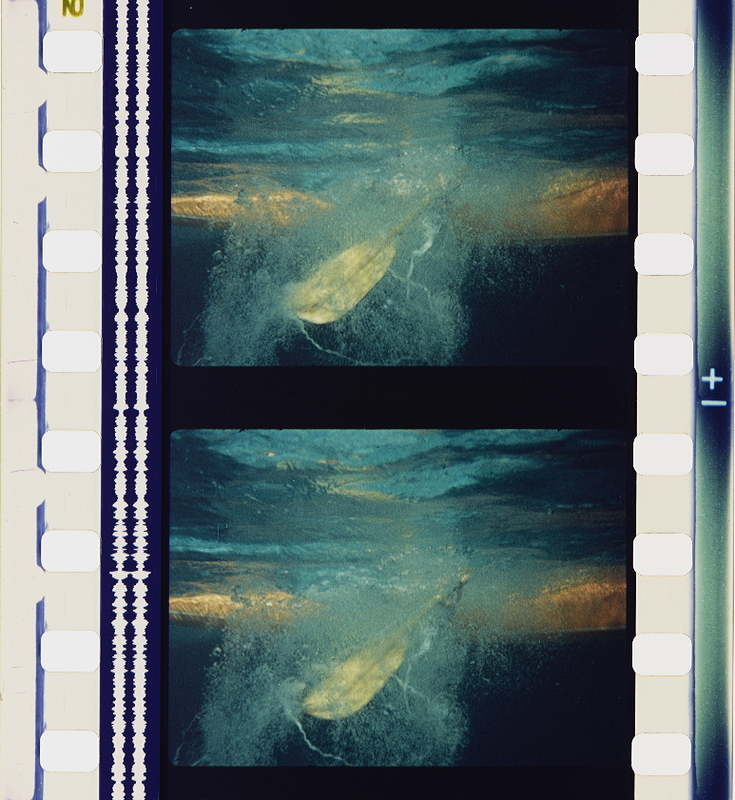 Glare is also used to signify a disturbance in visual perception, such as the intense sunlight that is reflected from the pane of glass that the Baxters’ son cycles over in the opening sequence of the film: the reflection of light entices the viewer’s attention to the breaking glass as it instigates the cascade of associative editing and images that surround the drowning of Christine. 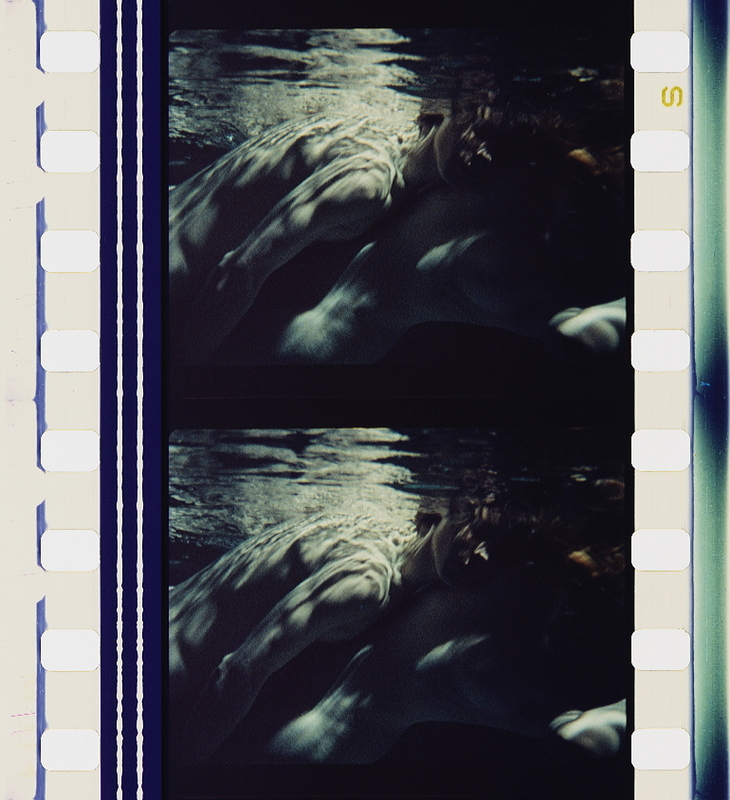 Images of light refracted by the movement of water and its reflection in the broken glass recur throughout the film. 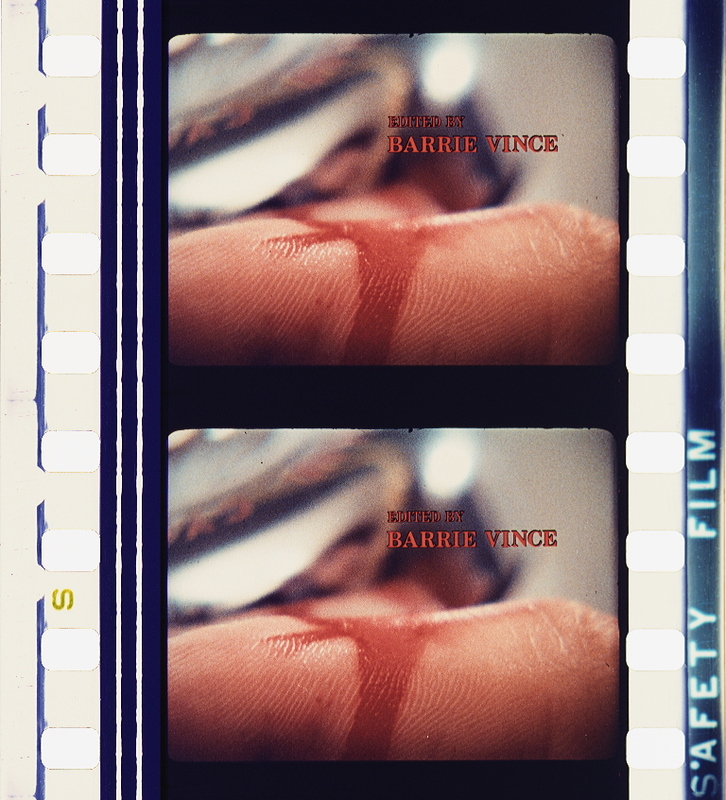 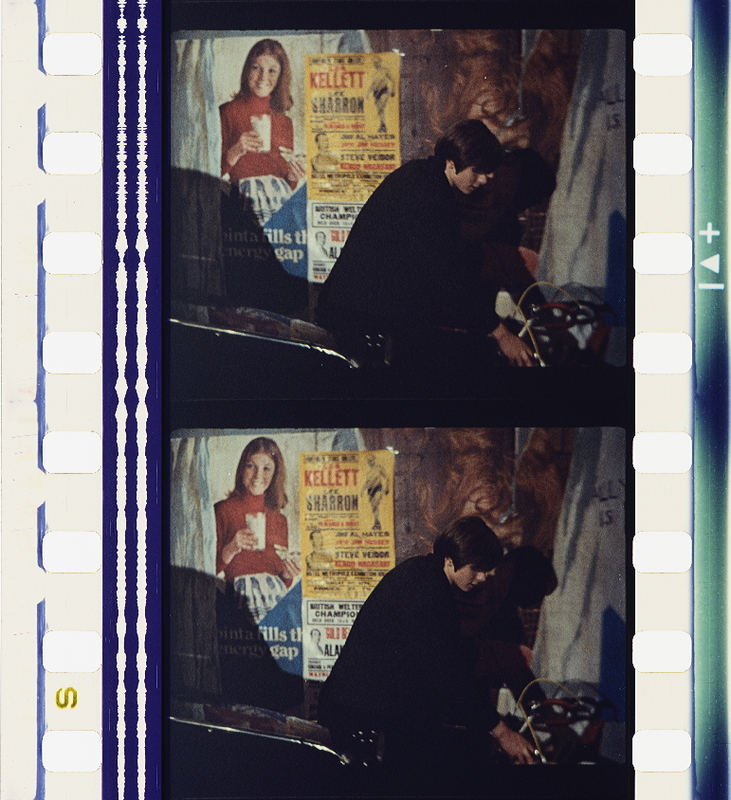 This practice obfuscates aspects of the visual composition, thus emphasizing the disorienting effect of associative editing, insinuating the images as integral both to the desire to know and to the lure of narrative cinema. 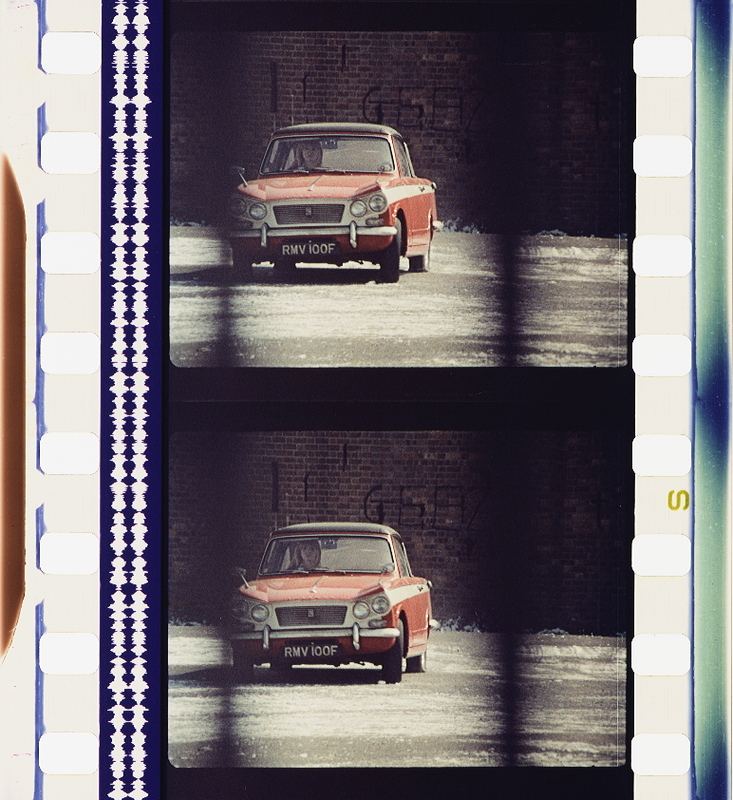 The anomalies of lens flare in the production of the film and the incorporation of glare in the diegesis are layered with the historical and technological specificity of the film stock and the temporality of the narrative as it unfolds. 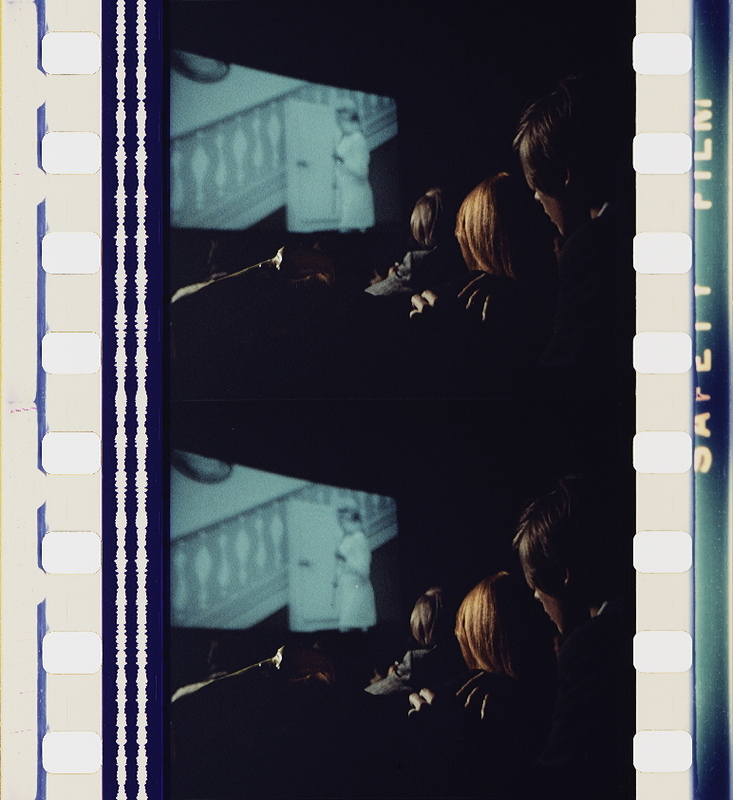 9 Stephen Heath, ‘Film and system: terms of analysis, Part I’, Screen, vol. 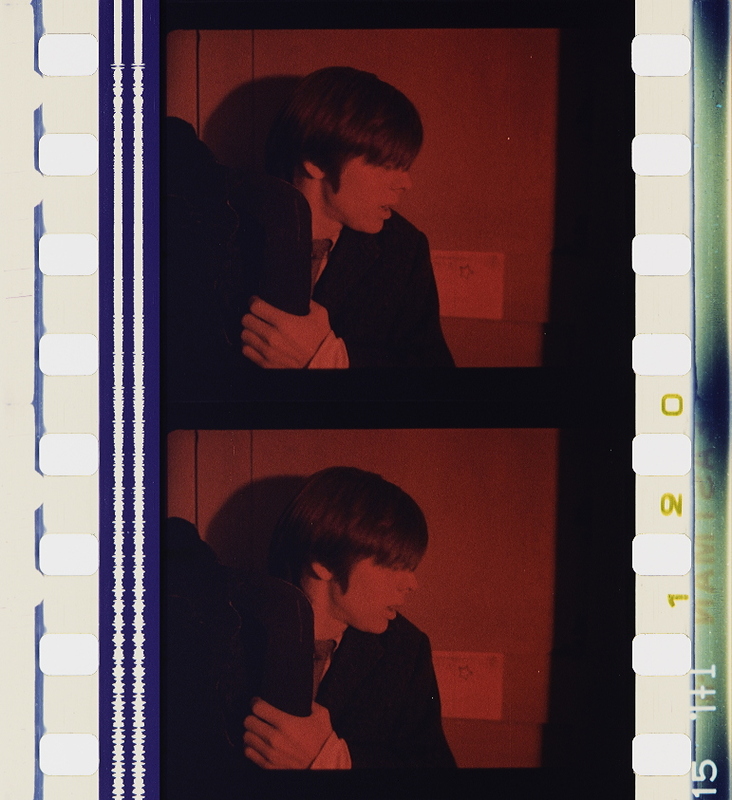 16, no. 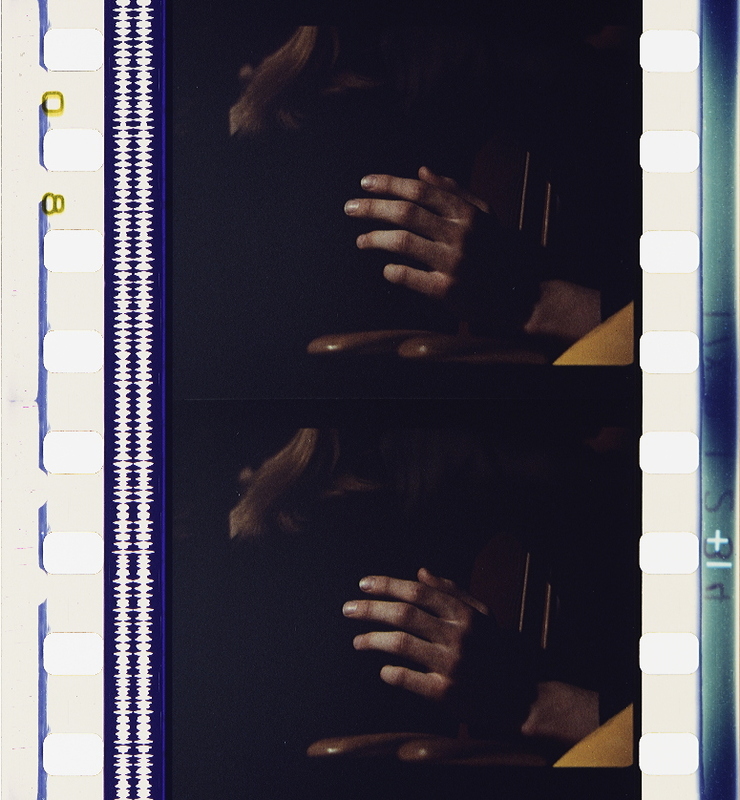 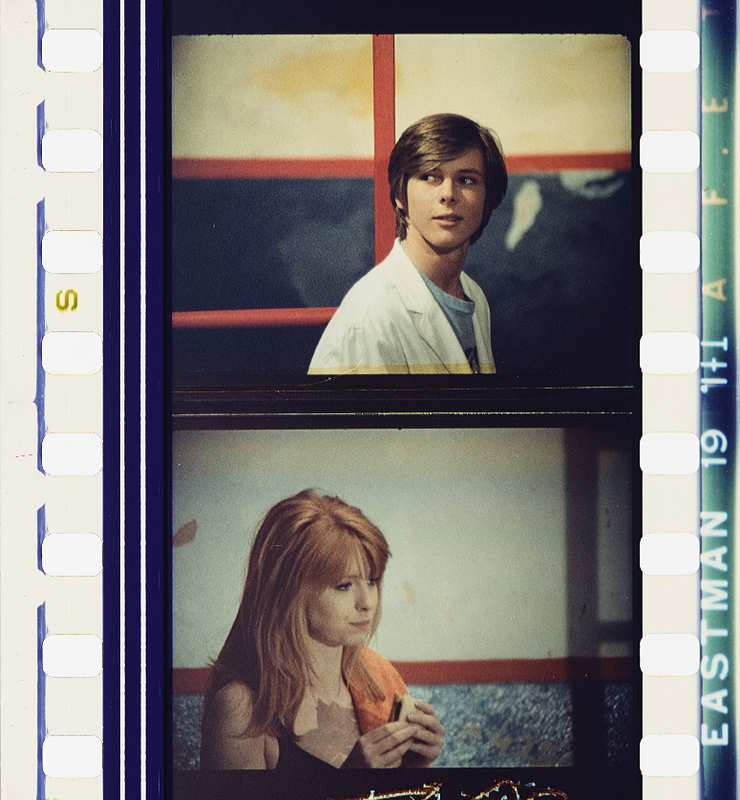 1 (1975), p. 10; Kristin Thompson, ‘The concept of cinematic excess’, in Philip Rosen (ed. 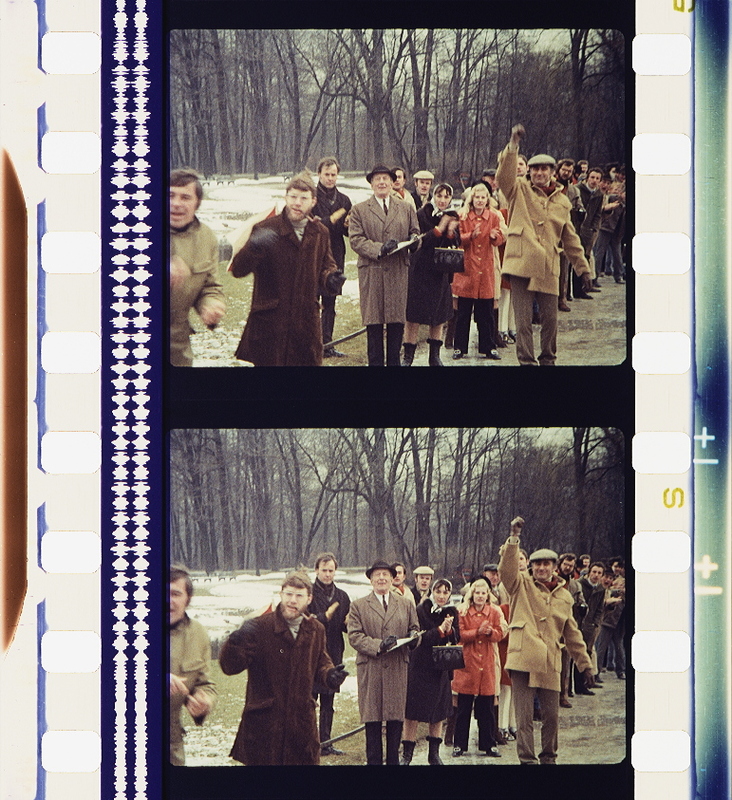 ), Narrative, Apparatus, Ideology: A Film Theory Reader (New York, NY: Columbia University Press, 1986), p. 130. 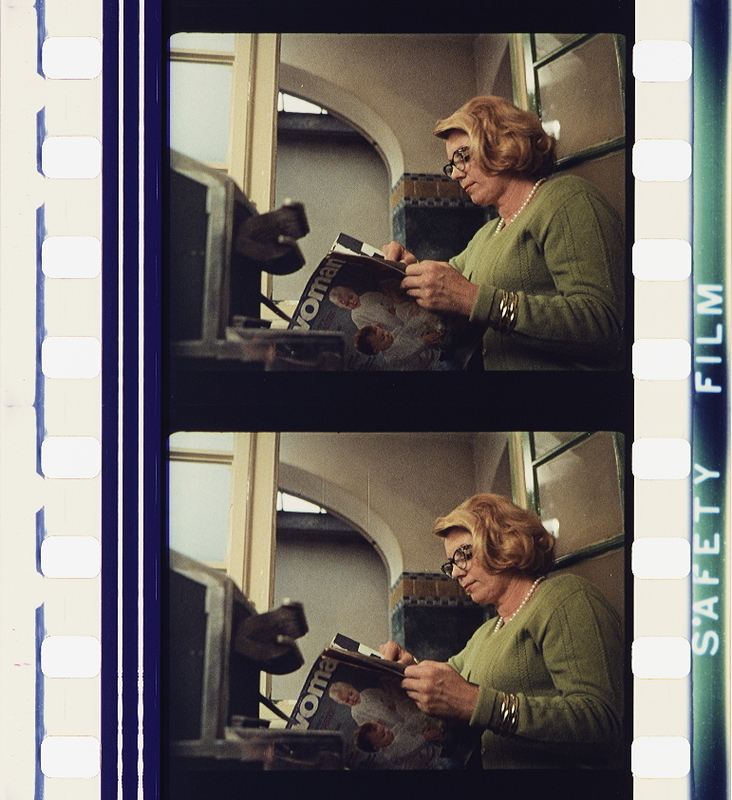 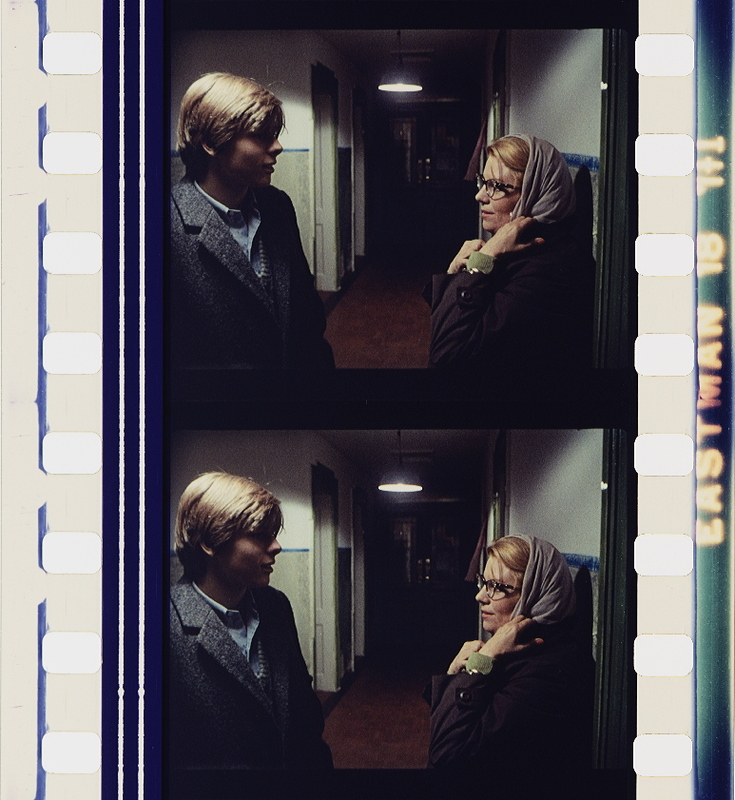 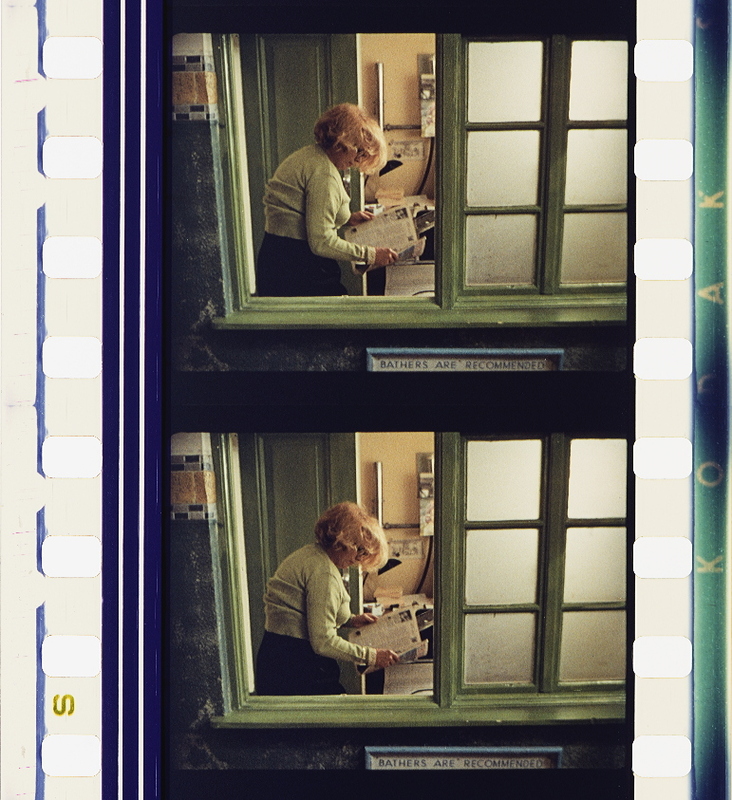 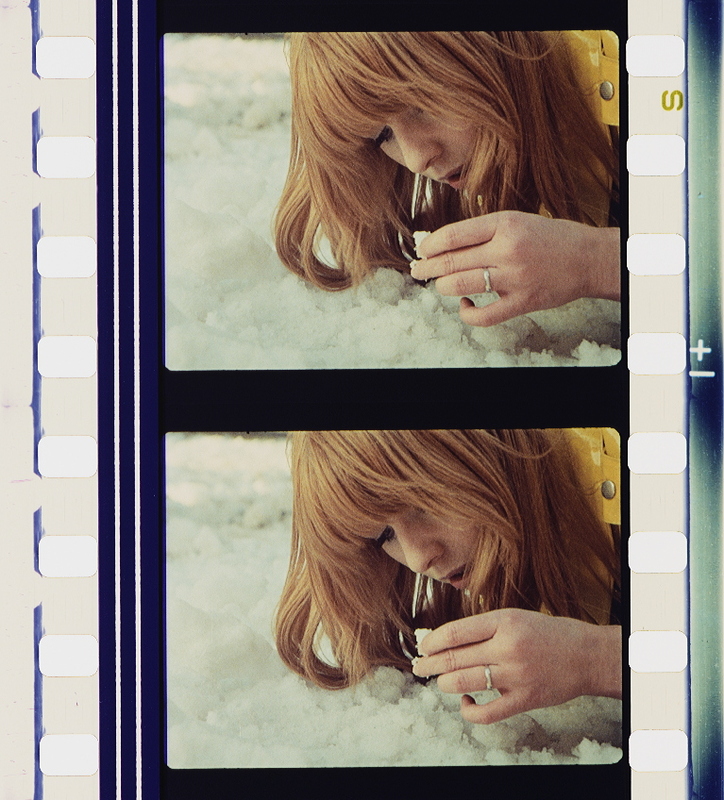 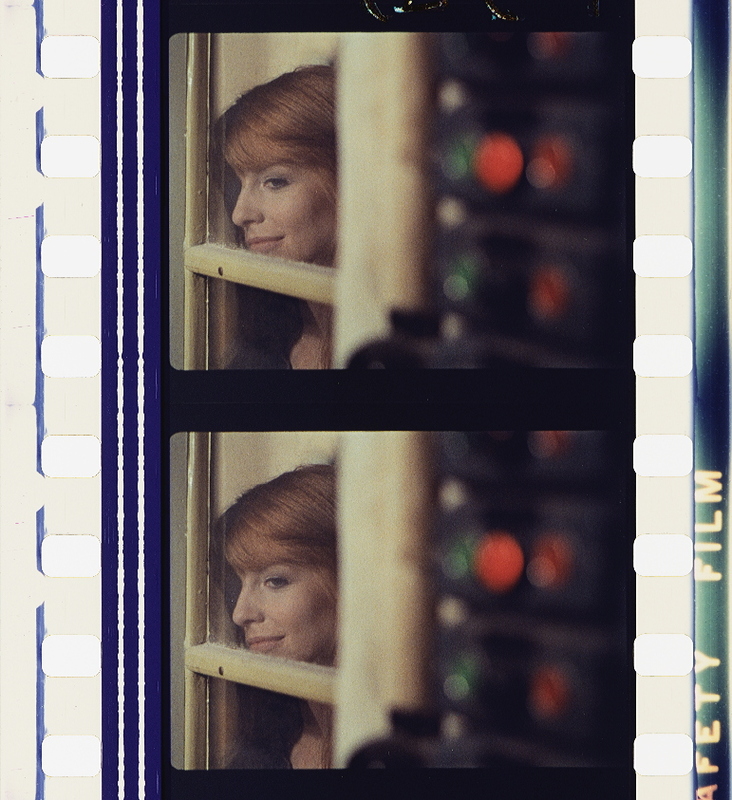 10 Penelope Houston, ‘Don’t Look Now‘, Monthly Film Bulletin, vol. 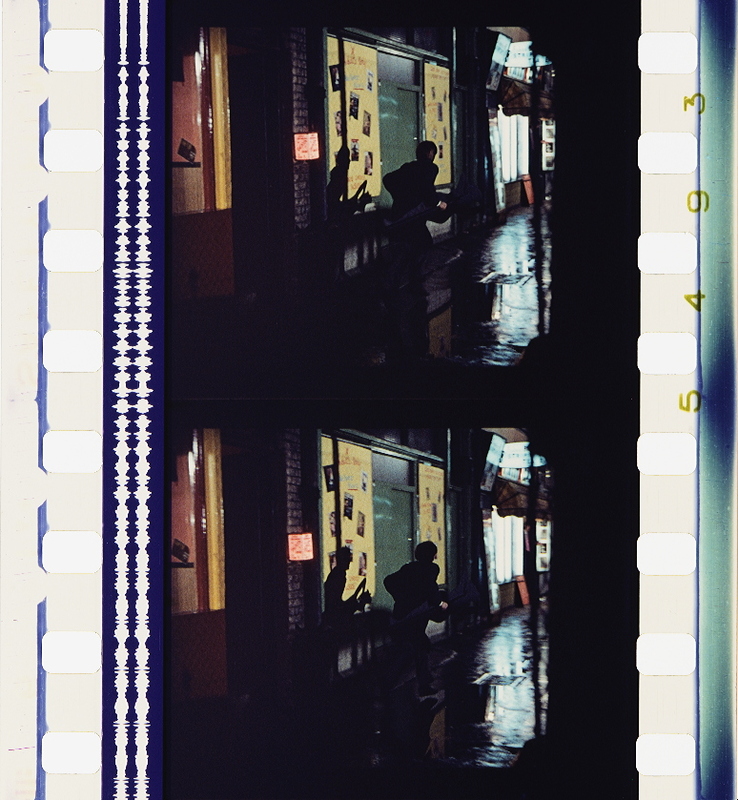 40, no. 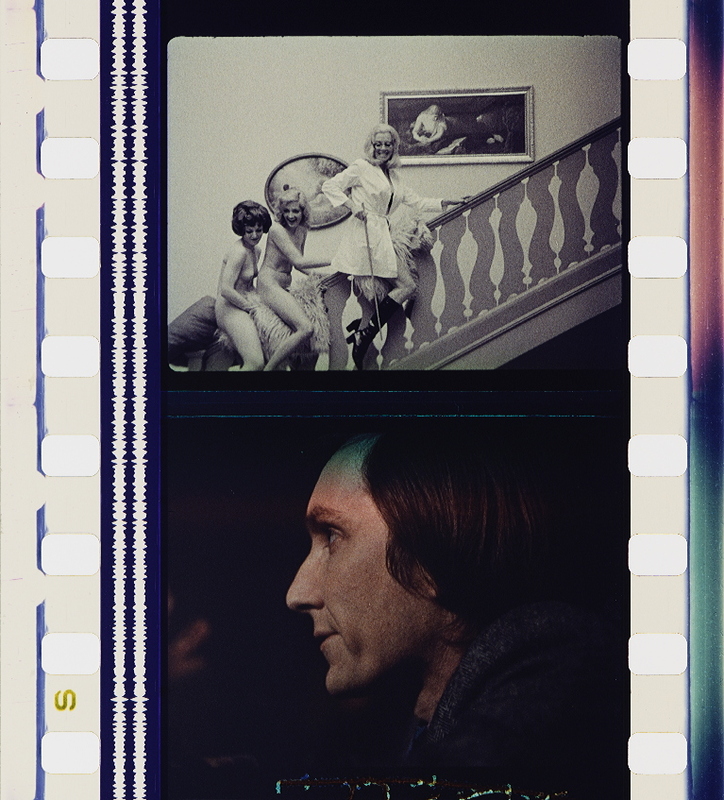 476 (1973), p. 205; Joseph Lanza, Fragile Geometry: The Films, Philosophy and Misadventures of Nicolas Roeg (New York, NY: PAJ Publications, 1989); J. Palmer and M. Riley, ‘Seeing, believing and “knowing” in narrative film: Don’t Look Now revisited’, Literature/Film Quarterly, vol. 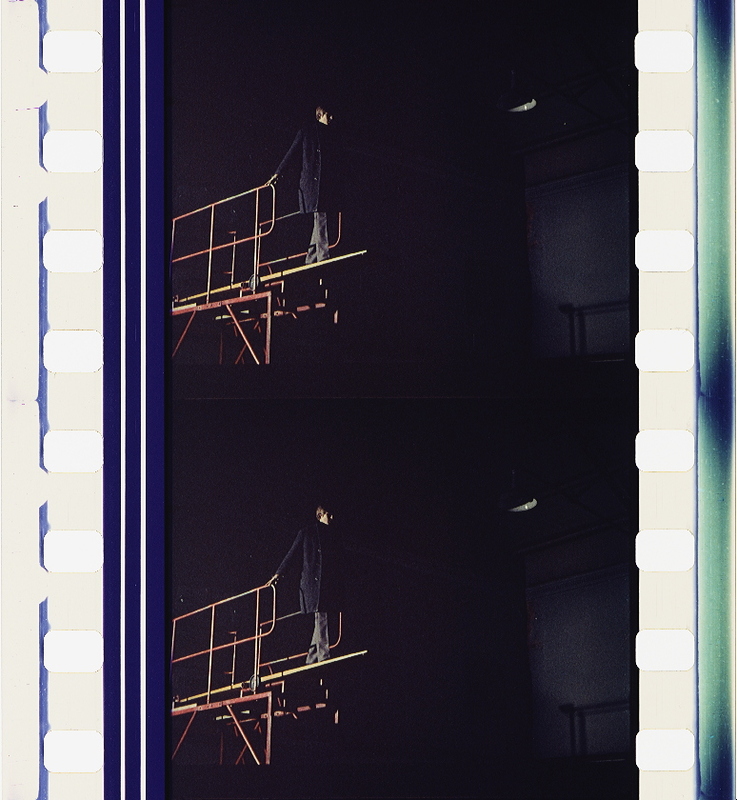 23, no. 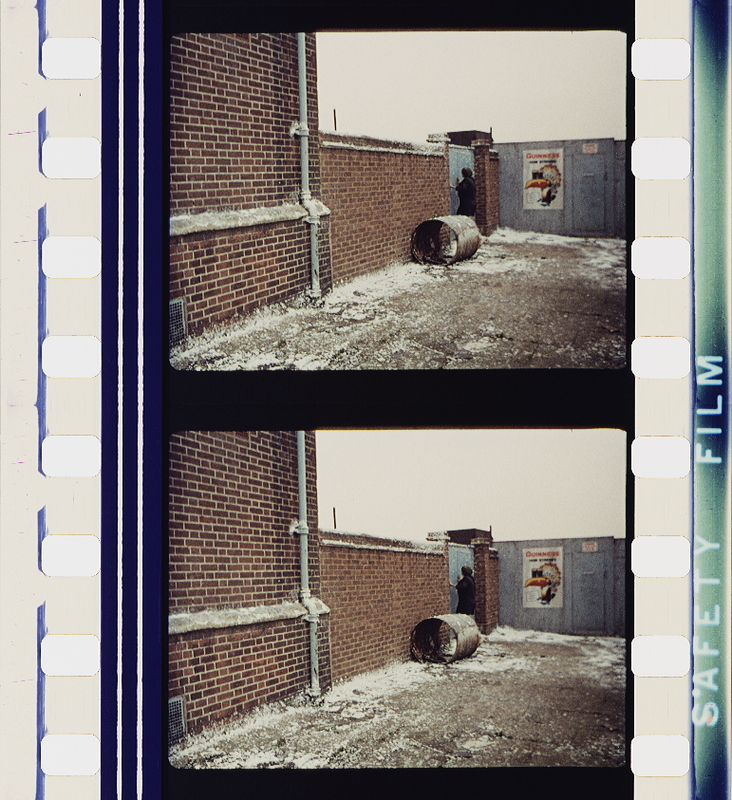 1 (1995), pp. 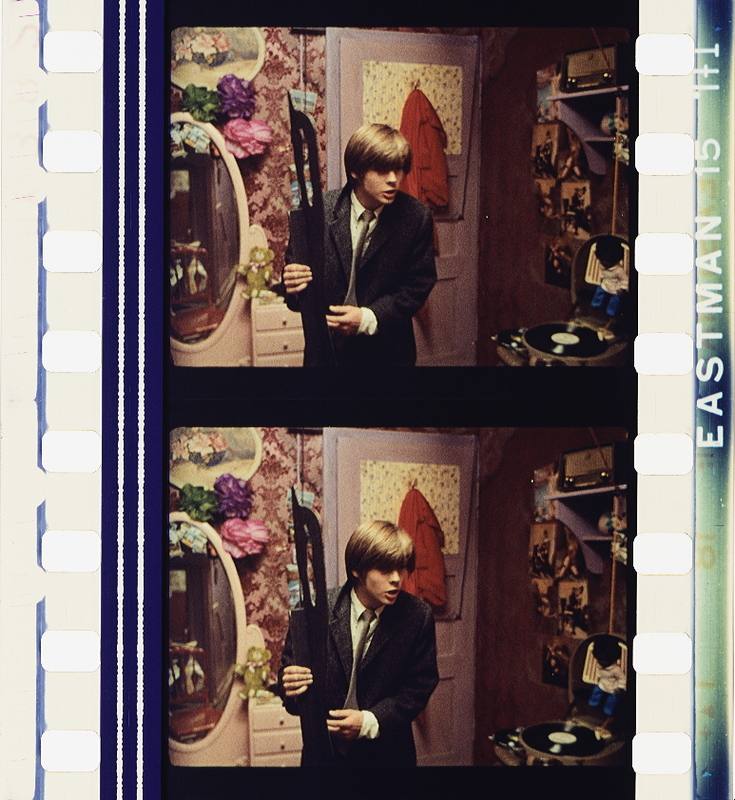 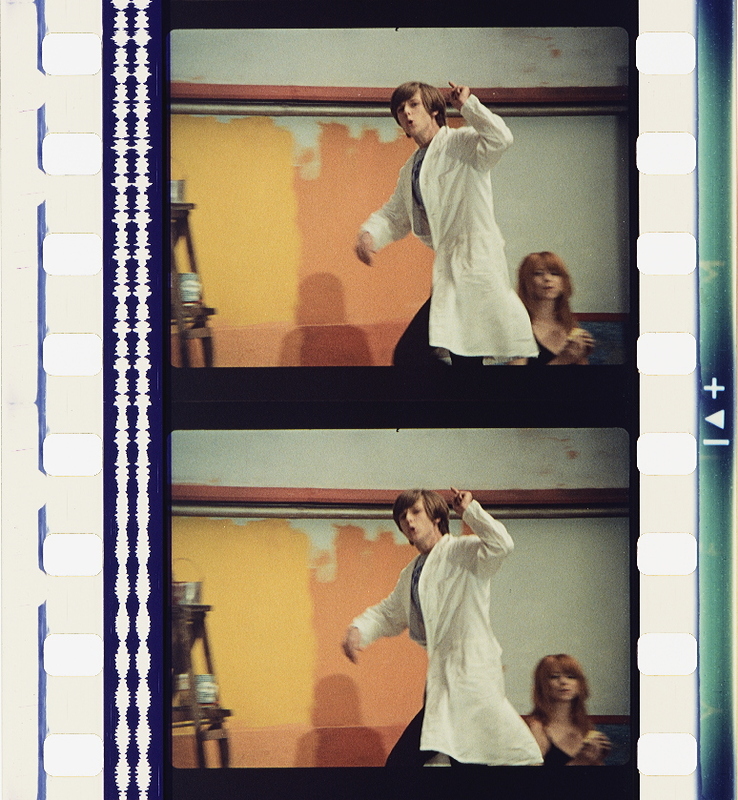 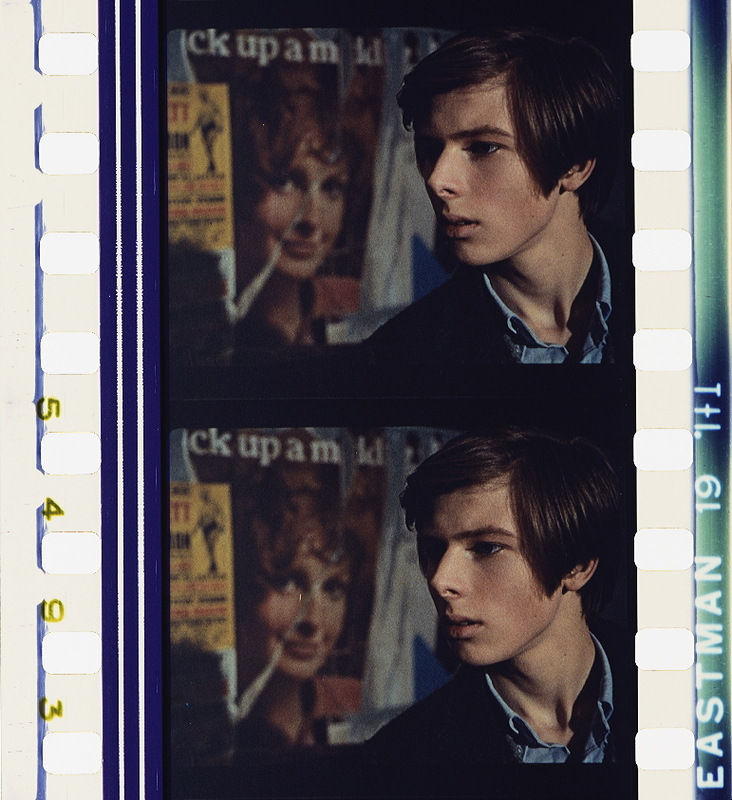 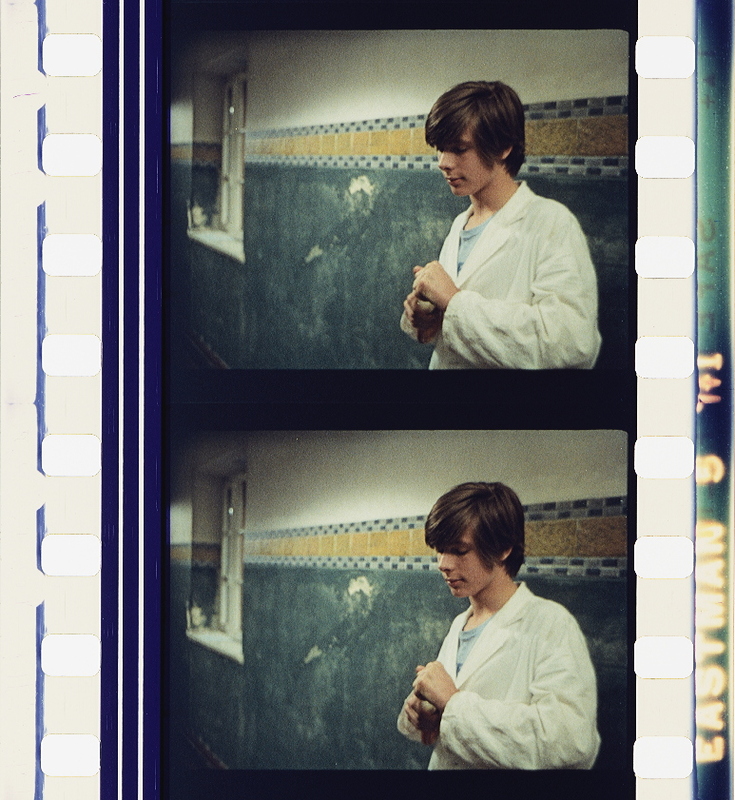 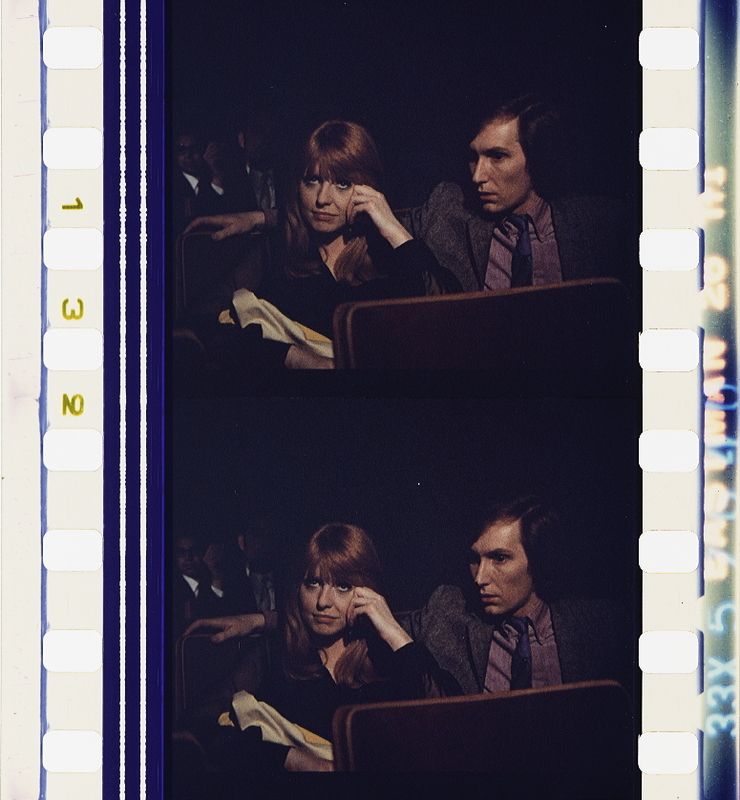 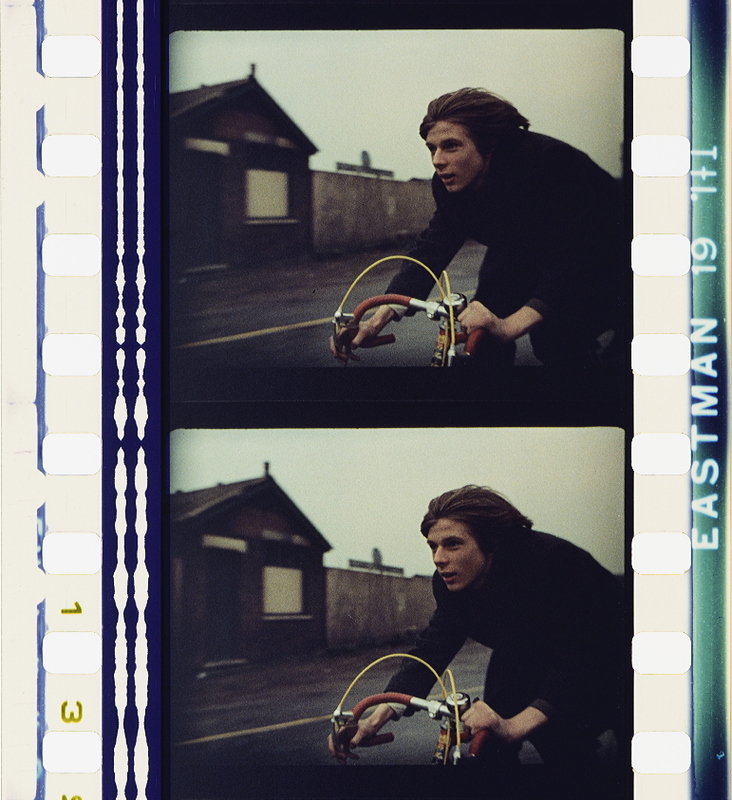 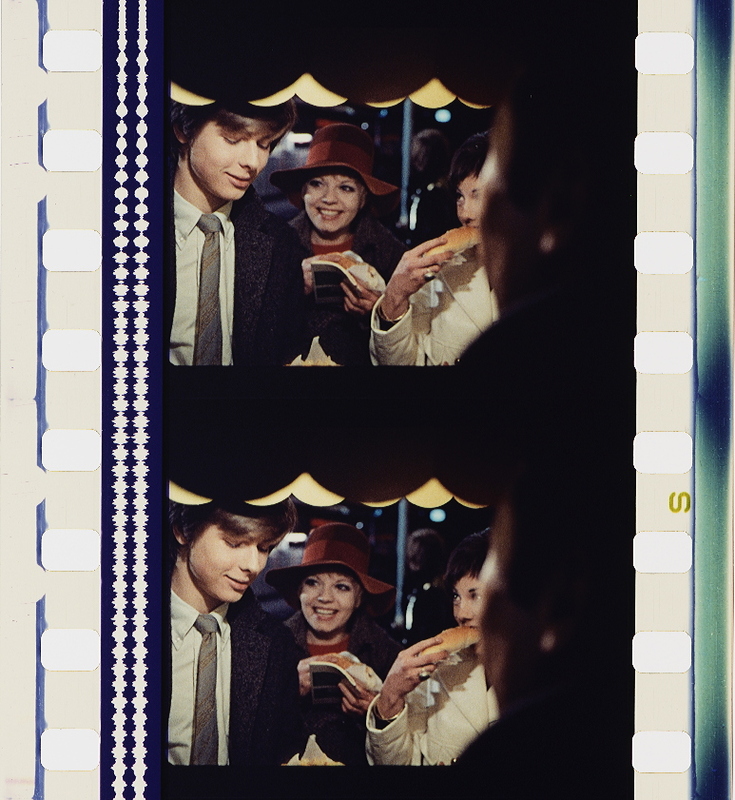 14–25; Andrew Patch,’Chromatic borders, cosmetic bodies: colour in the films of Nicolas Roeg’, Journal of British Cinema and Television, vol. 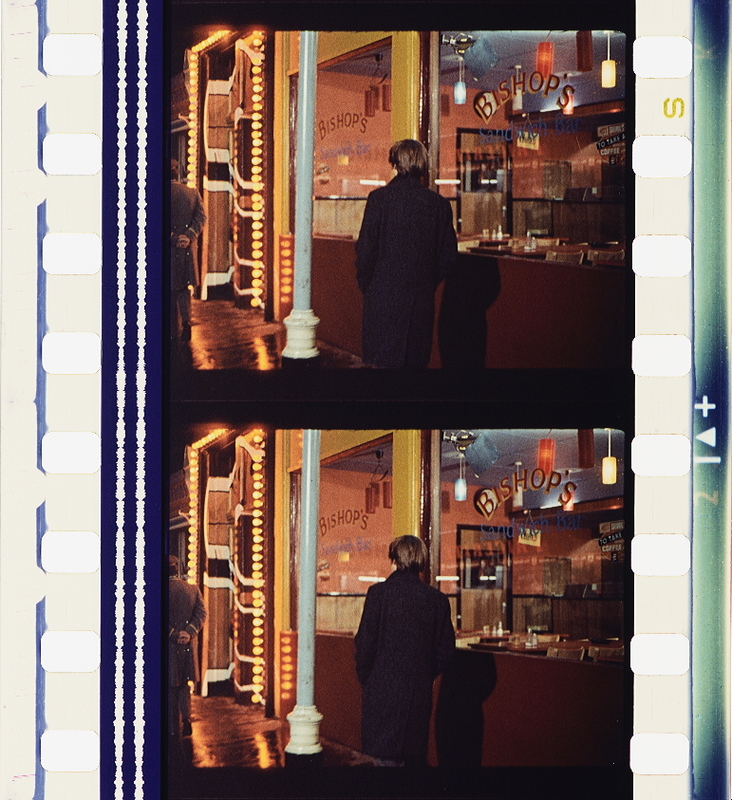 7, no. 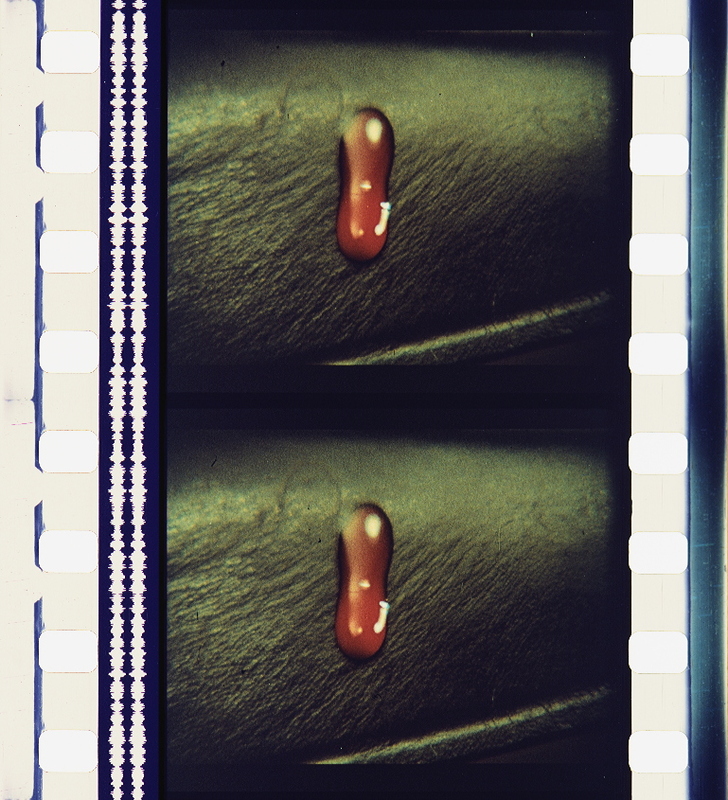 1 (2010), pp. 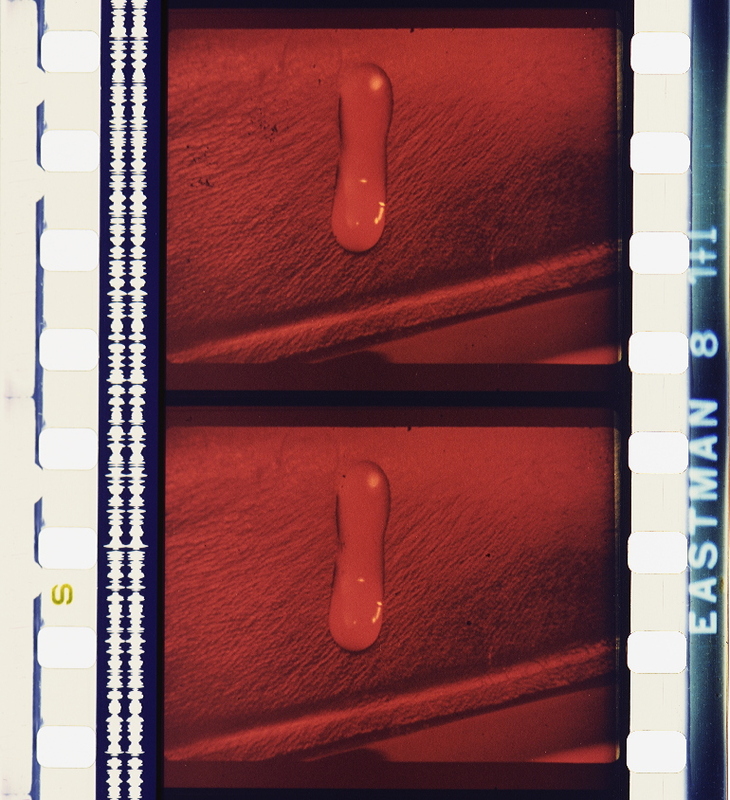 69–81.